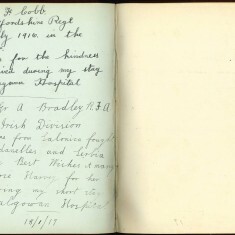 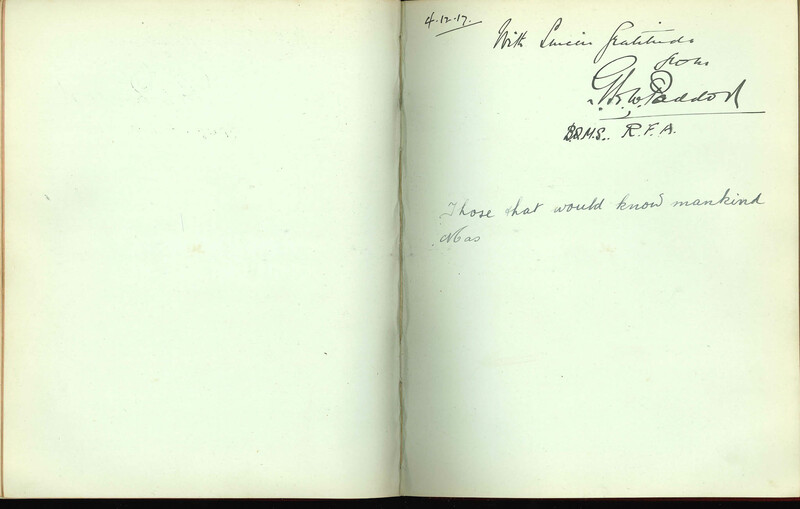 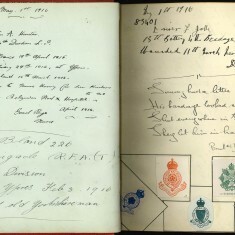 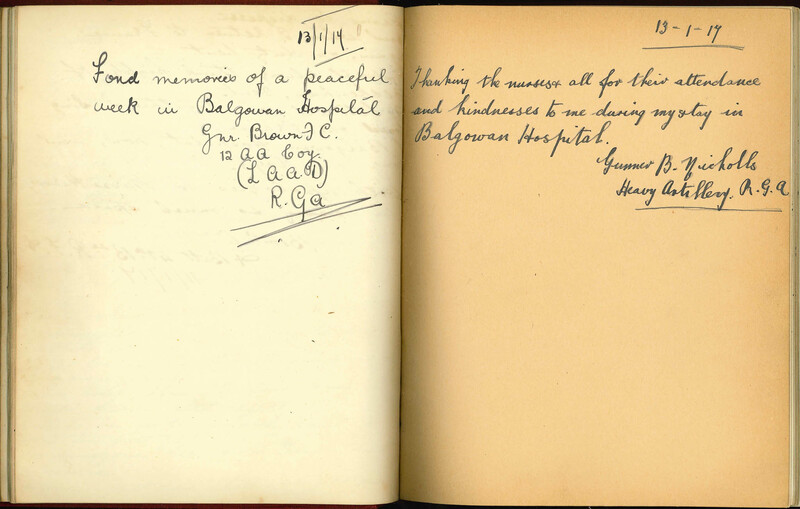 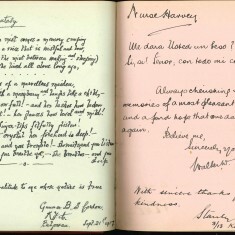 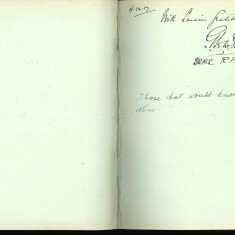 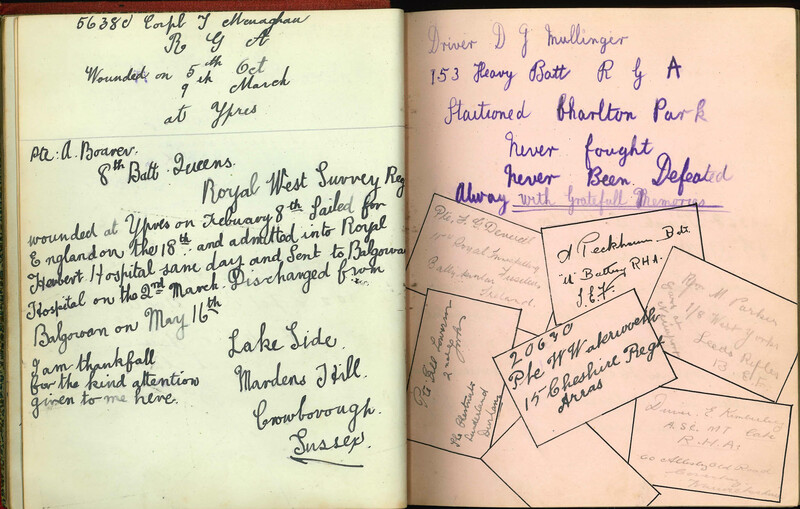 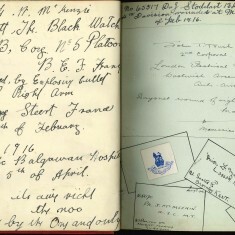 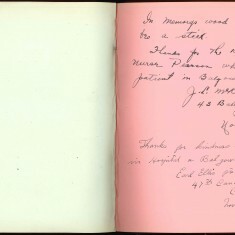 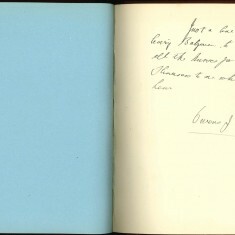 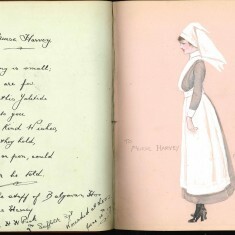 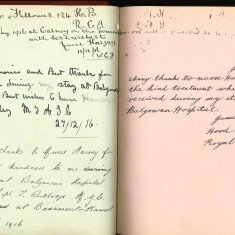 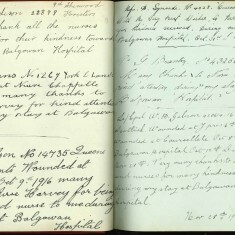 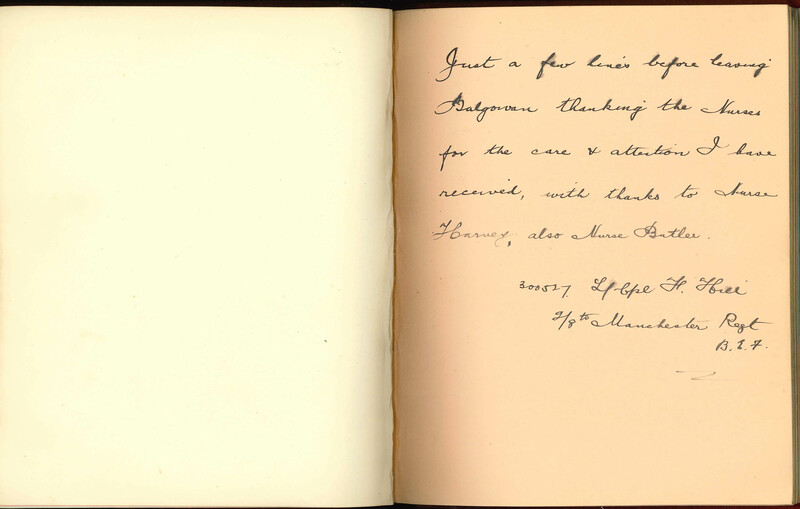 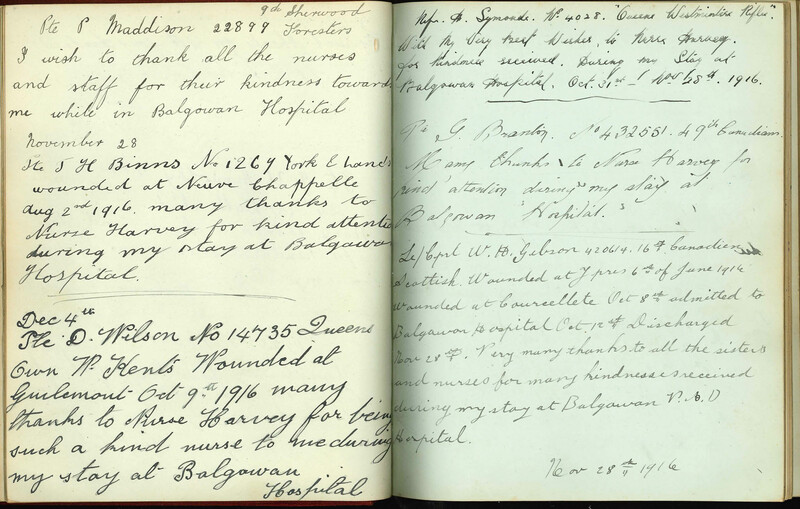 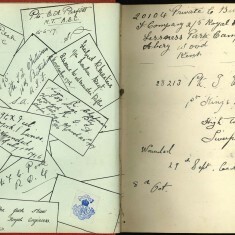 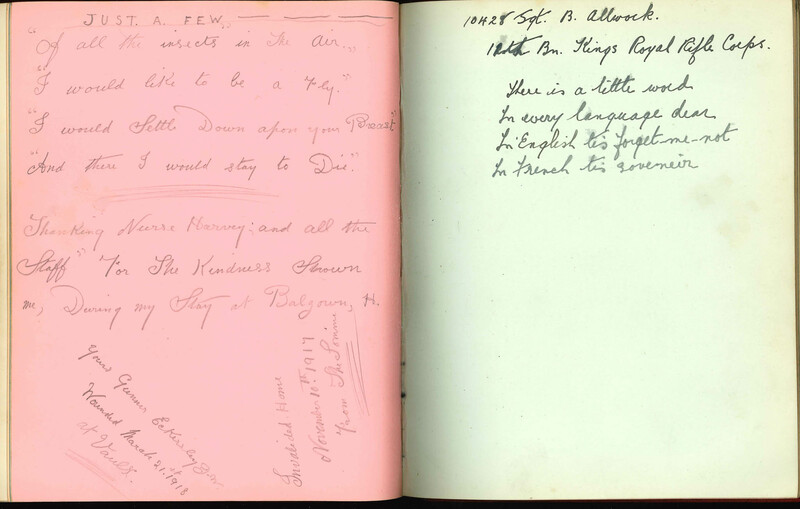 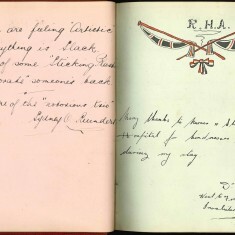 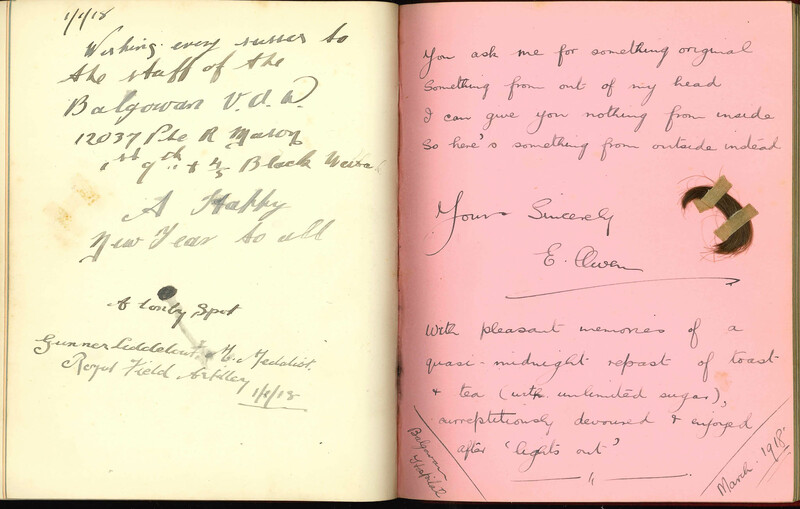 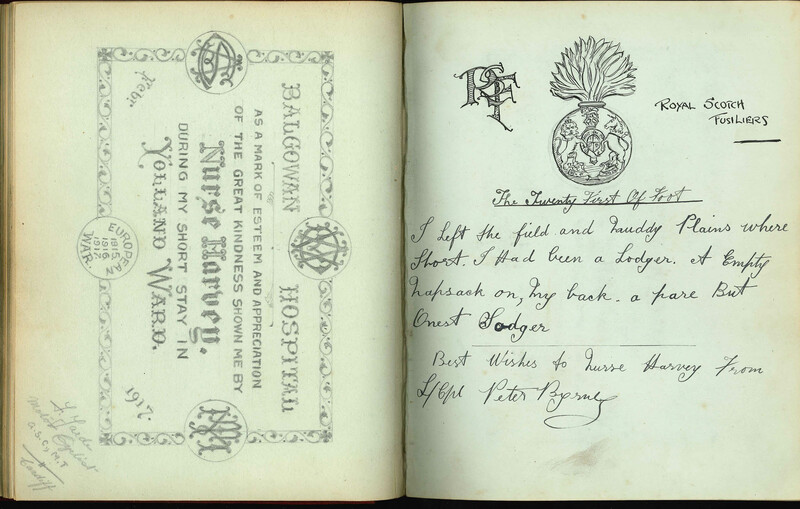 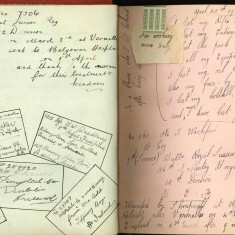 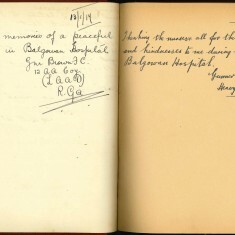 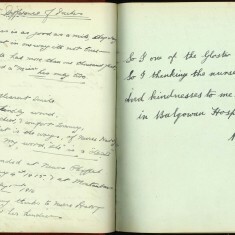 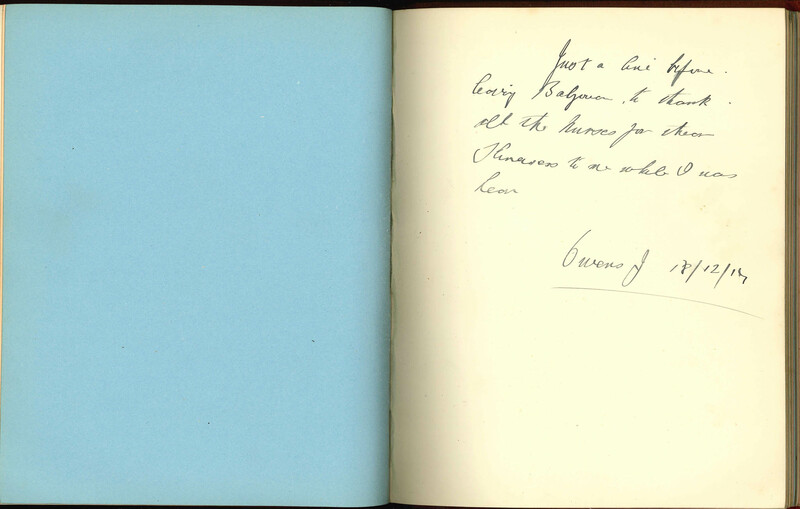 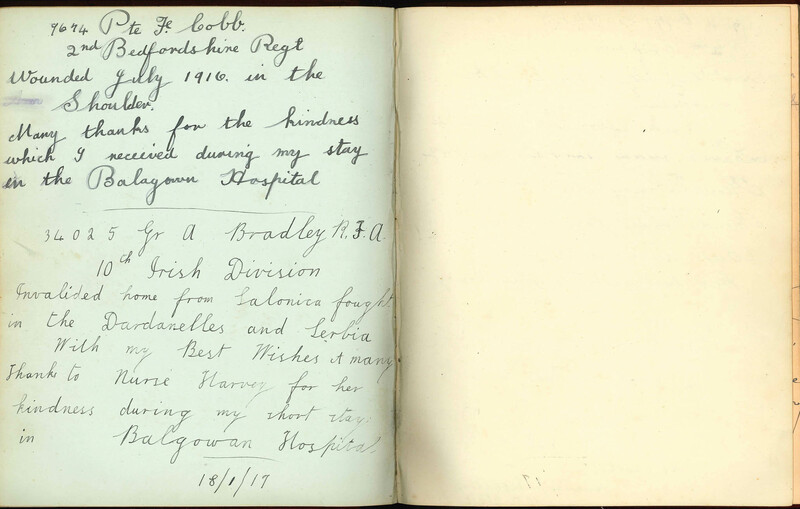 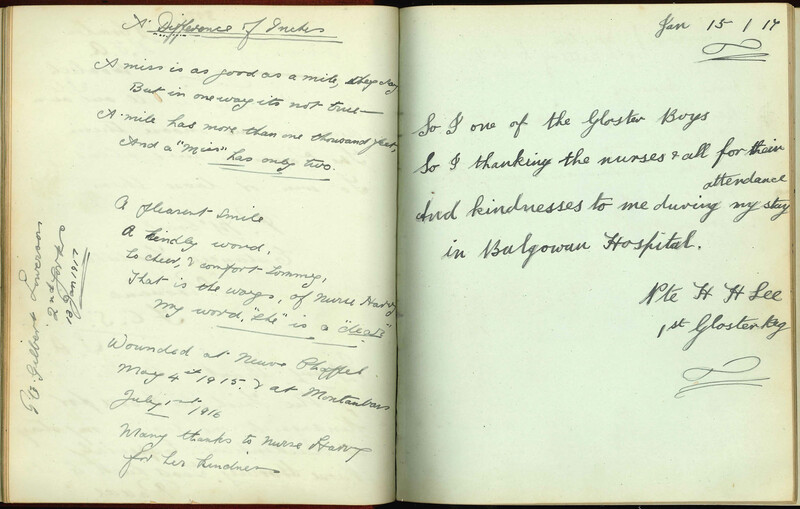 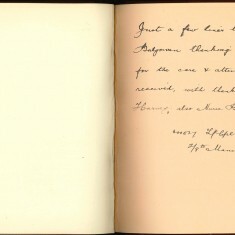 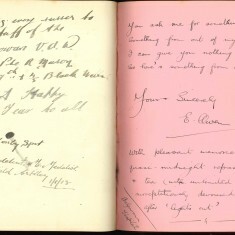 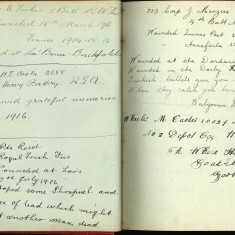 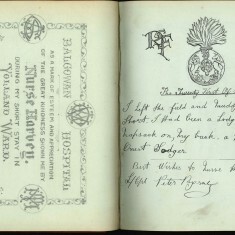 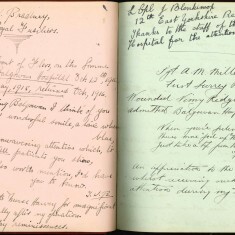 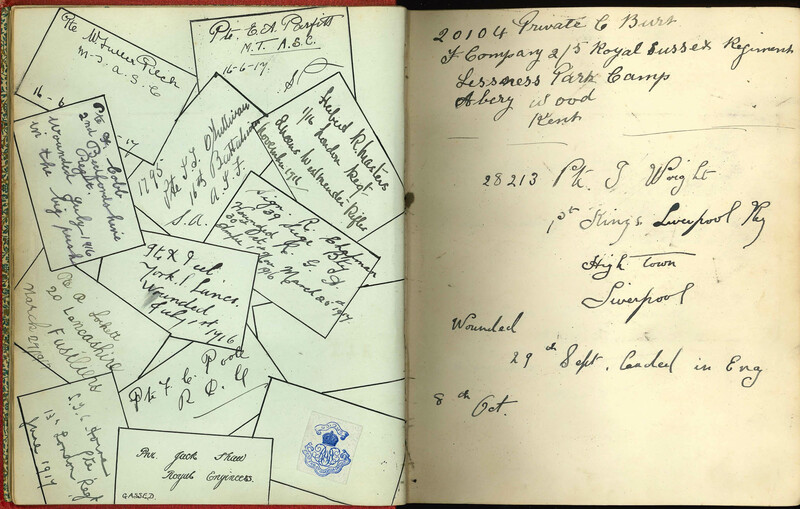 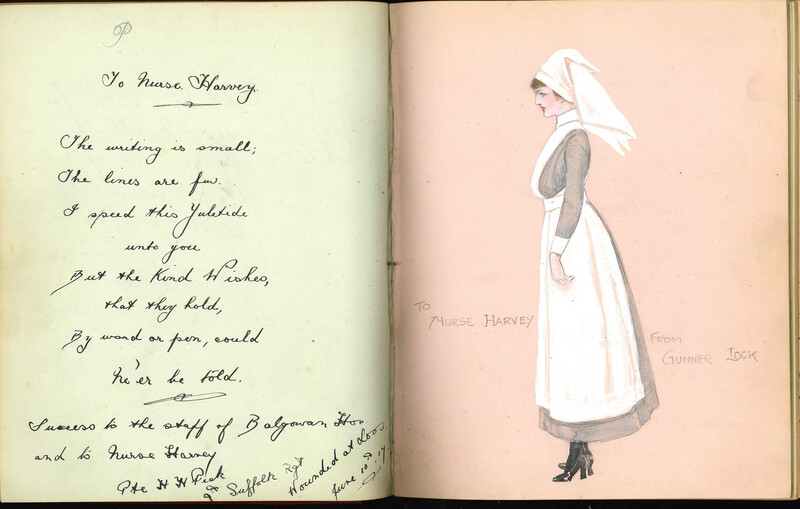 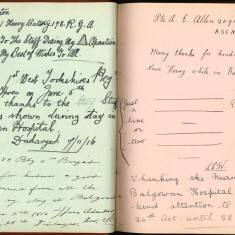 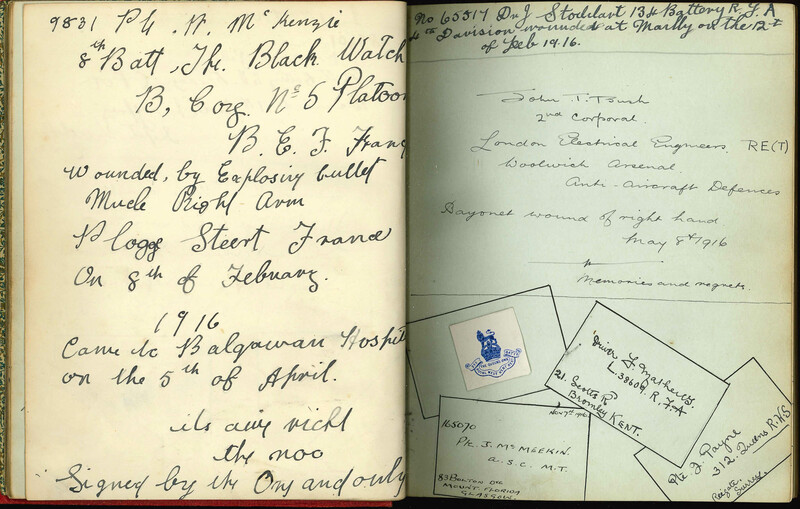 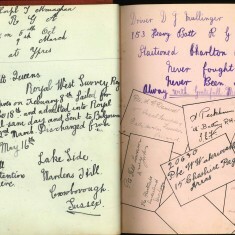 Autograph album kept by Miss Elsie Maud Harvey whilst a Voluntary Aid Detachment nurse at Balgowan Hospital, Beckenham, Kent during the First World War. 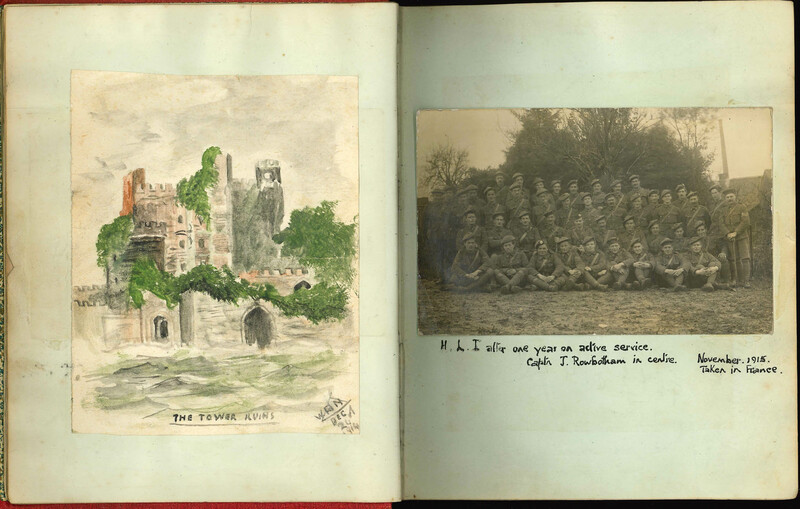 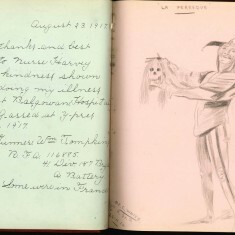 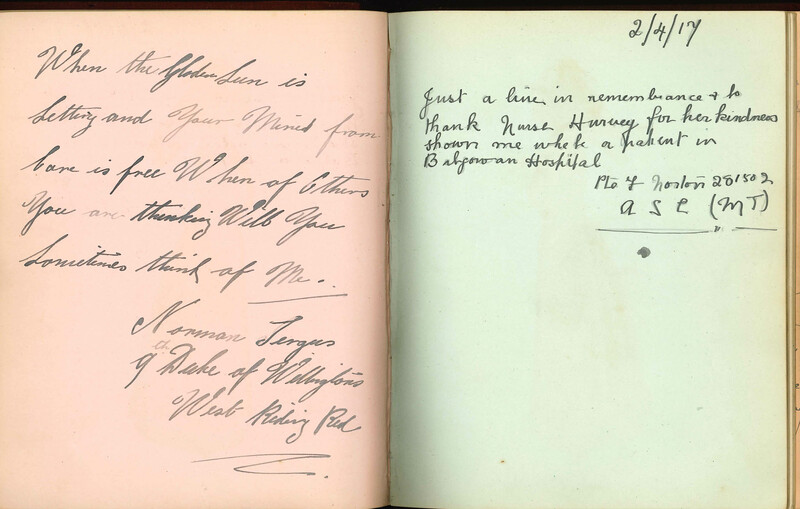 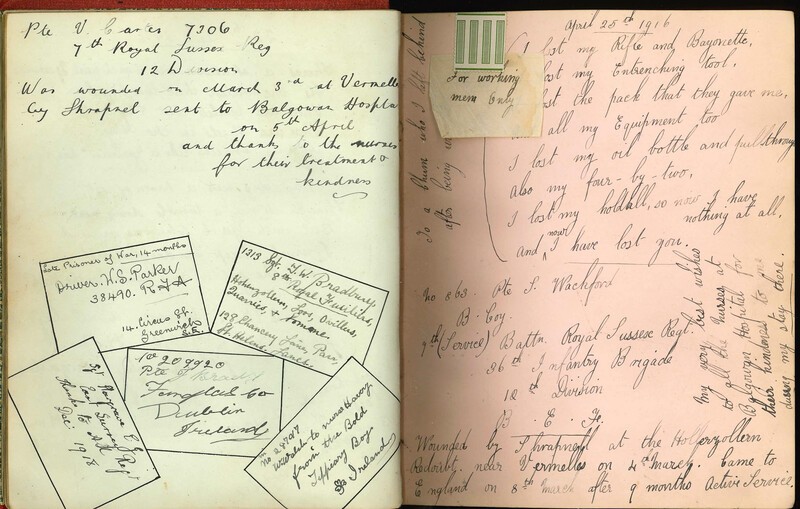 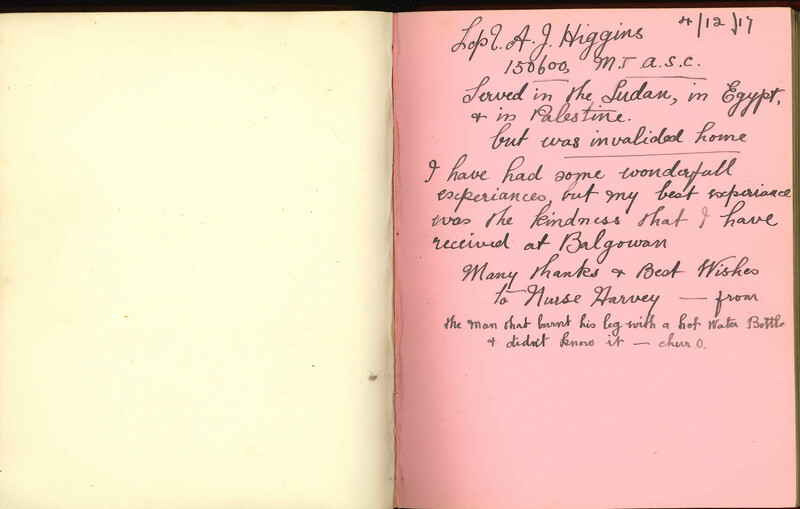 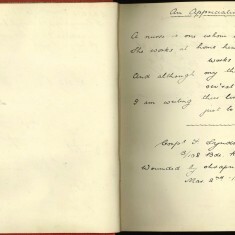 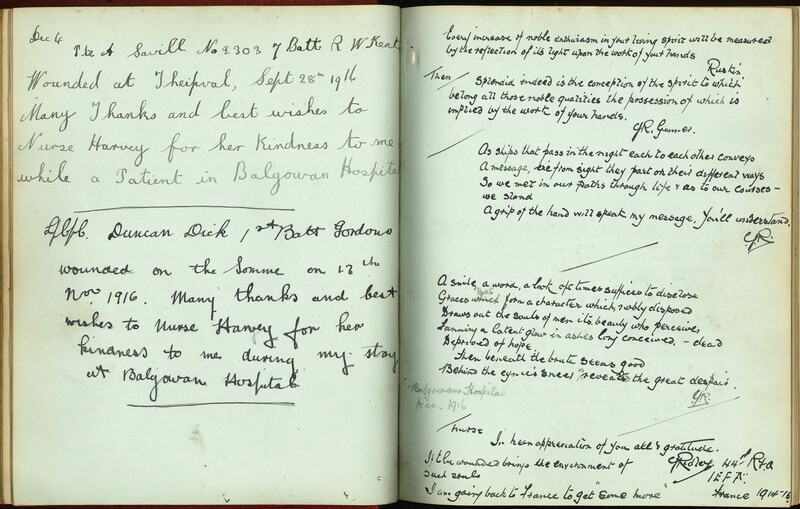 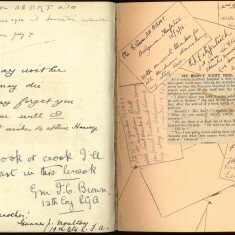 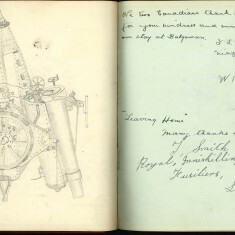 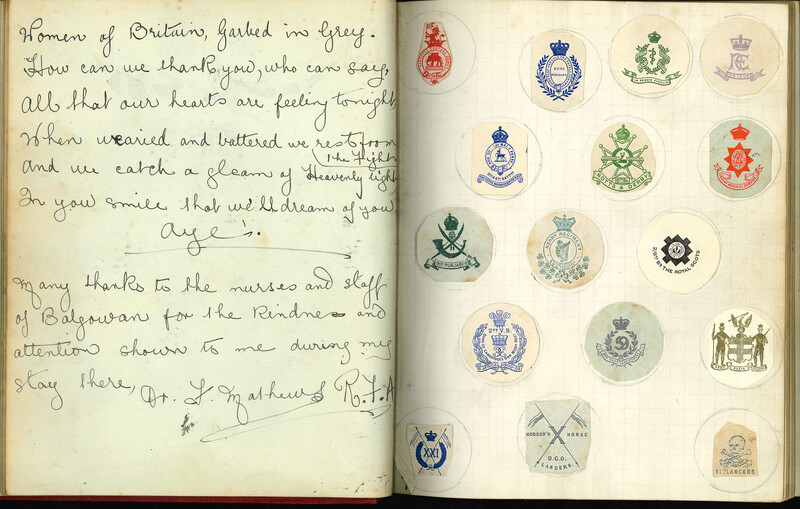 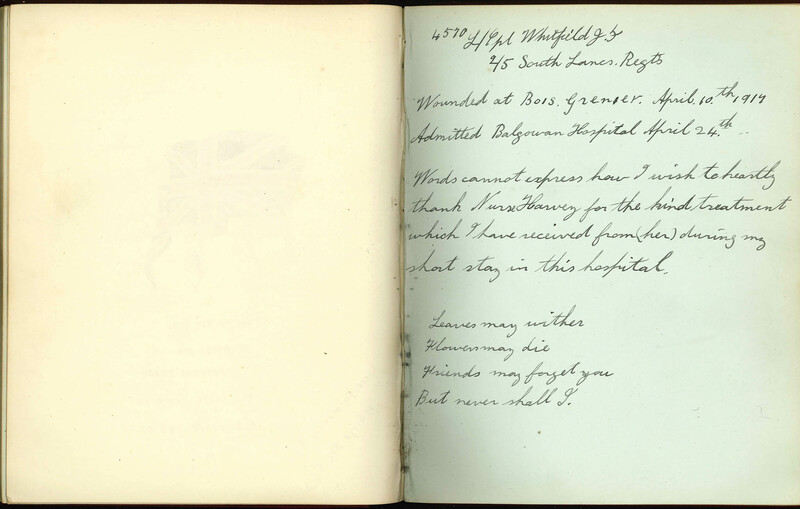 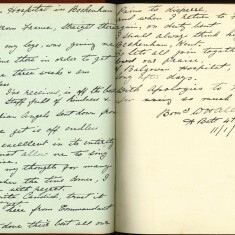 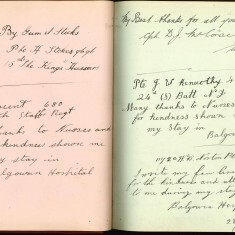 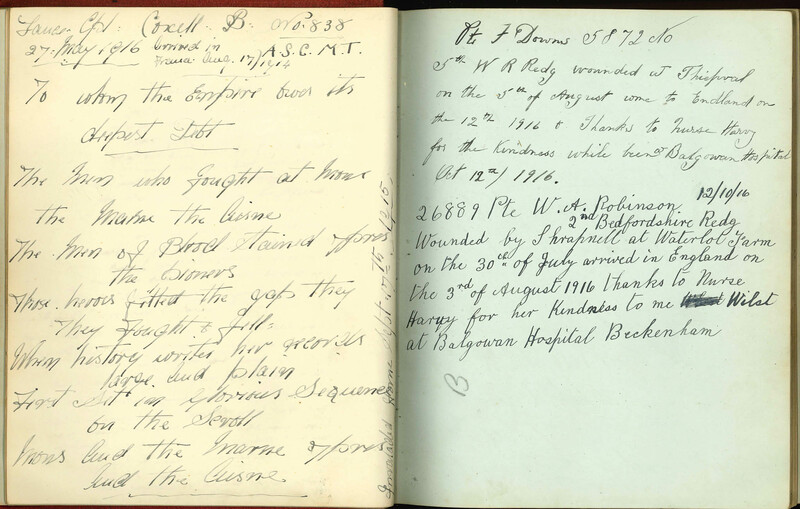 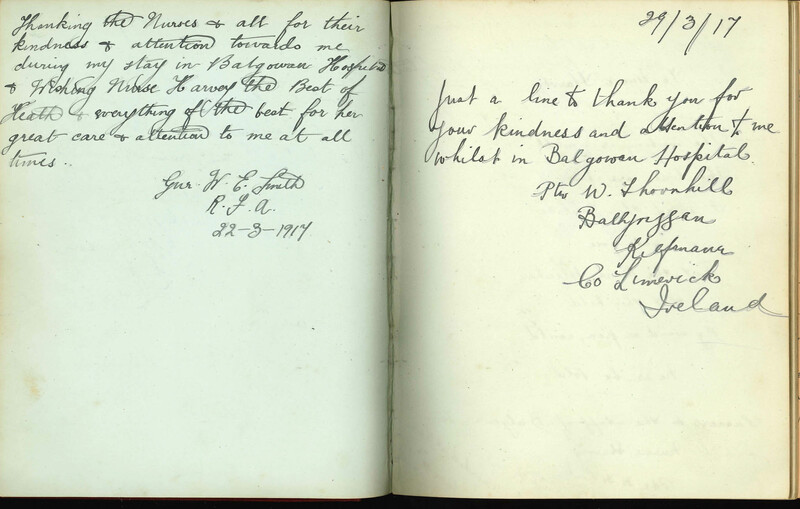 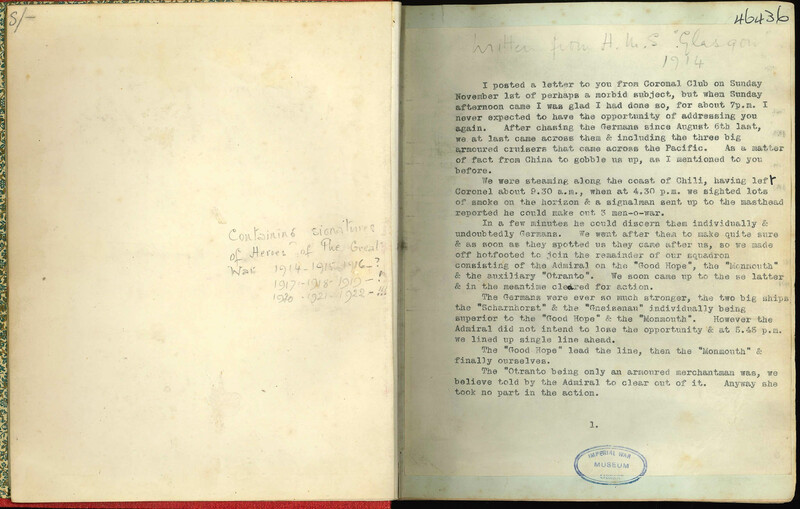 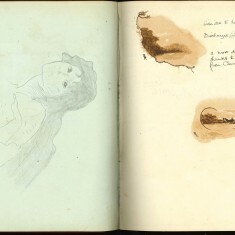 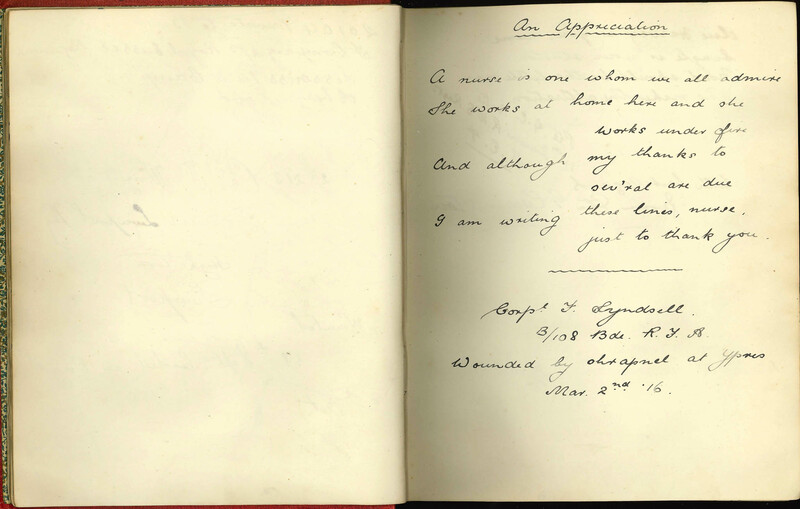 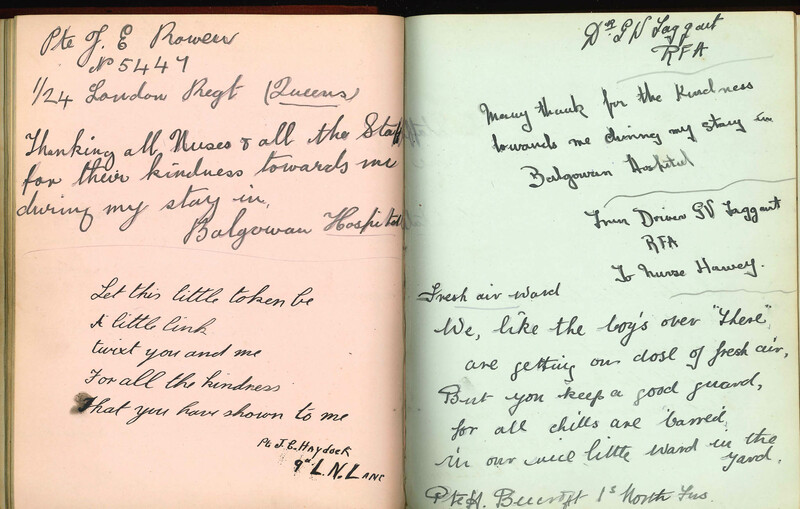 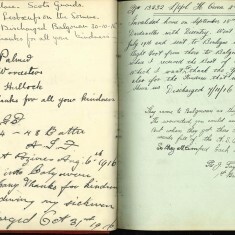 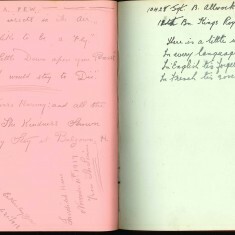 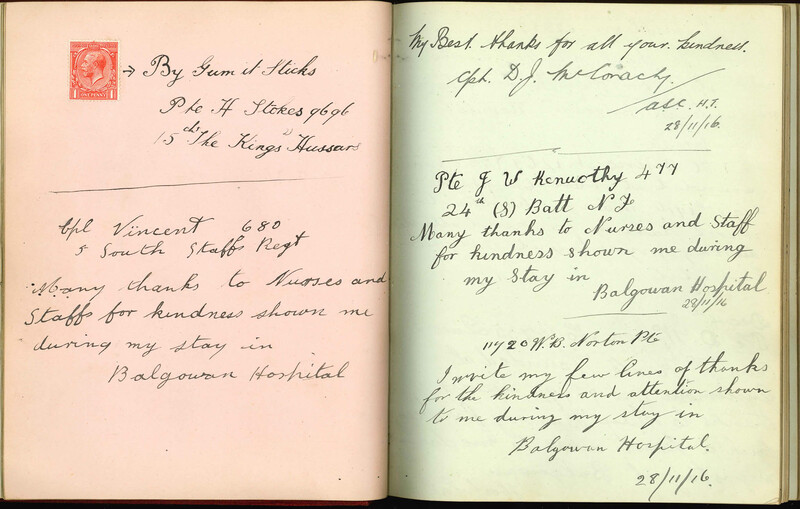 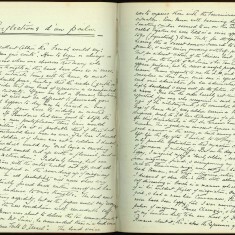 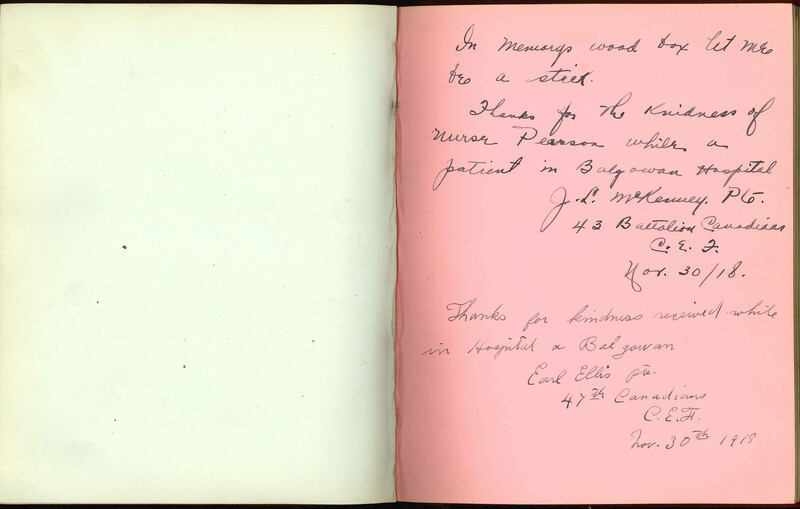 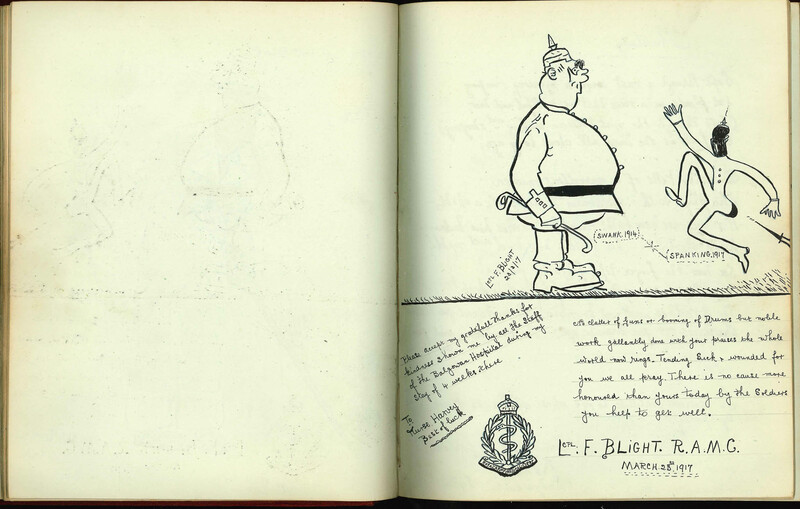 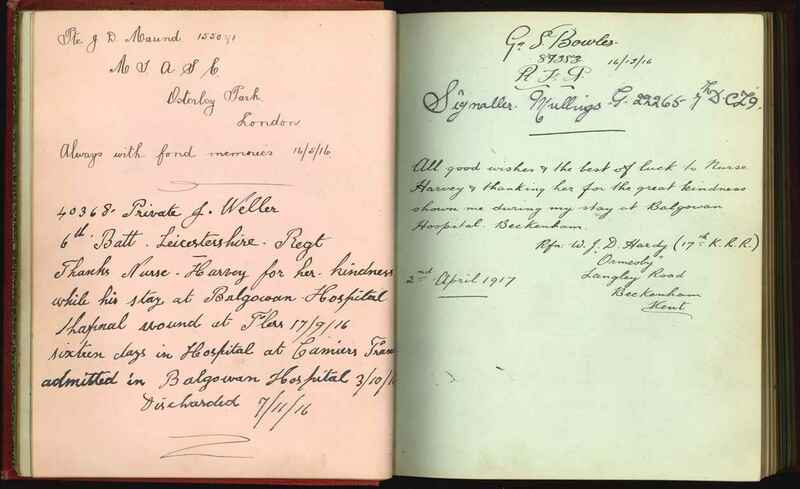 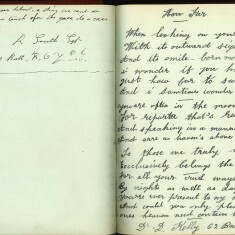 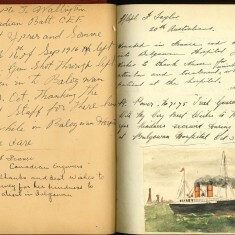 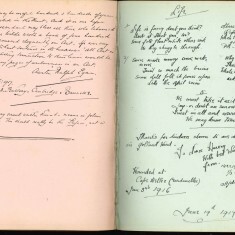 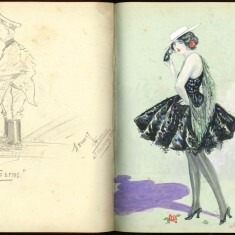 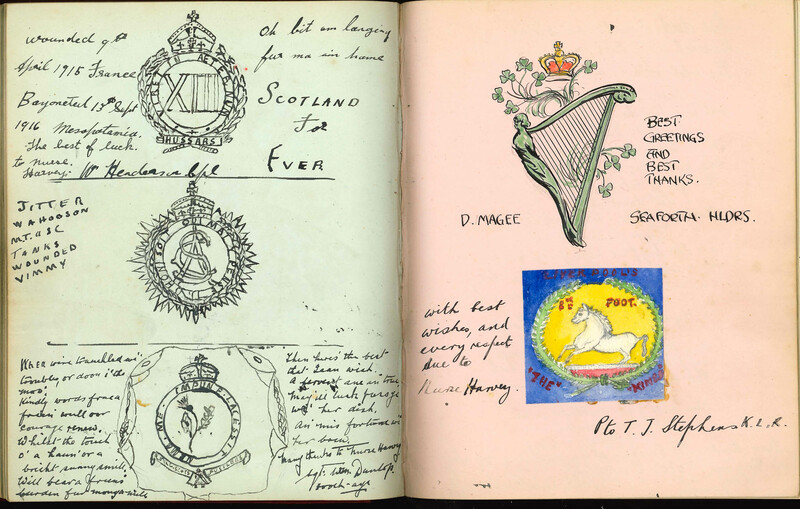 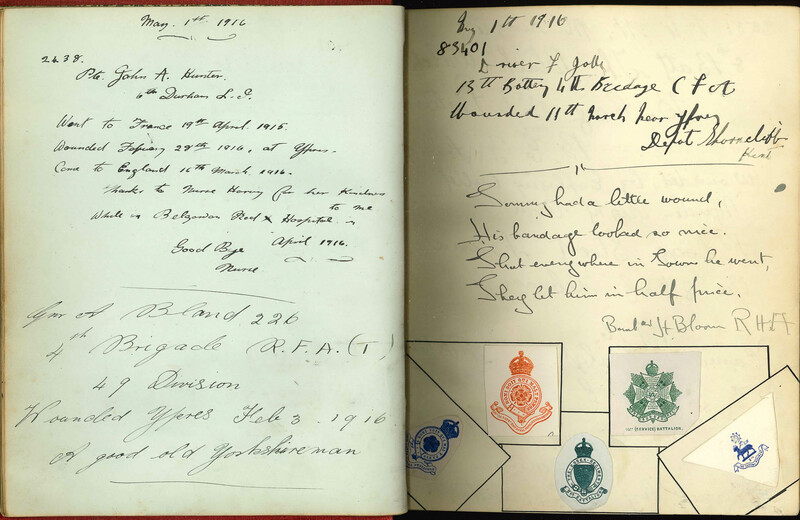 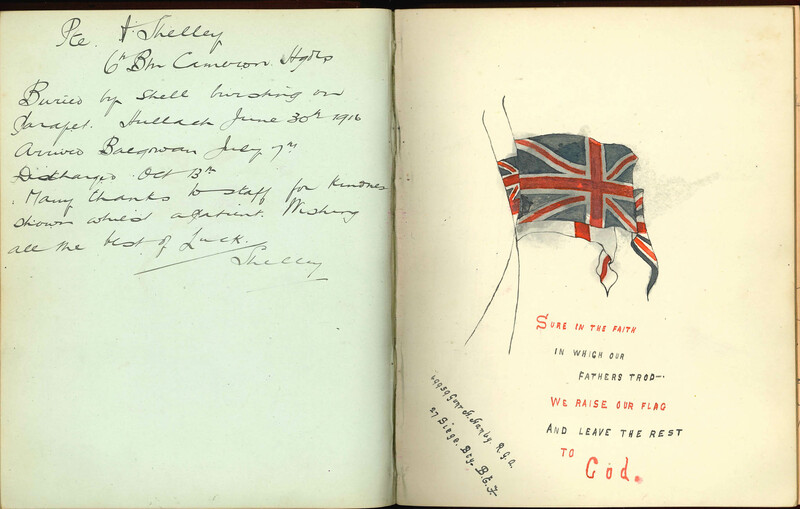 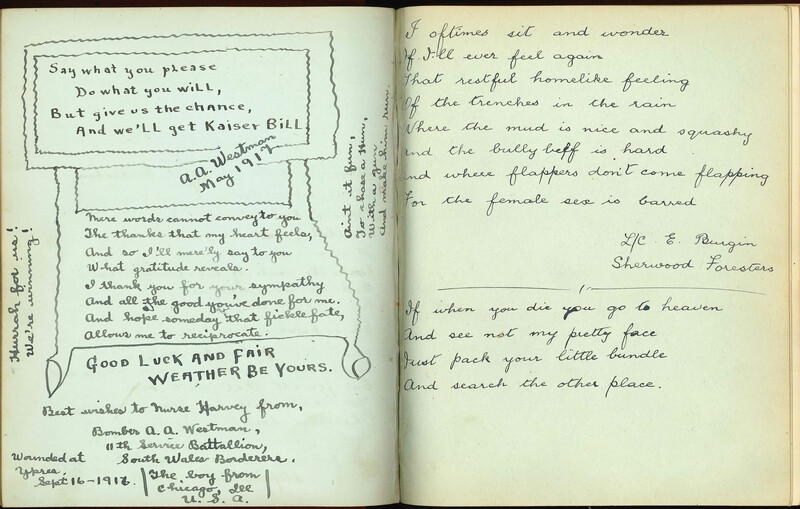 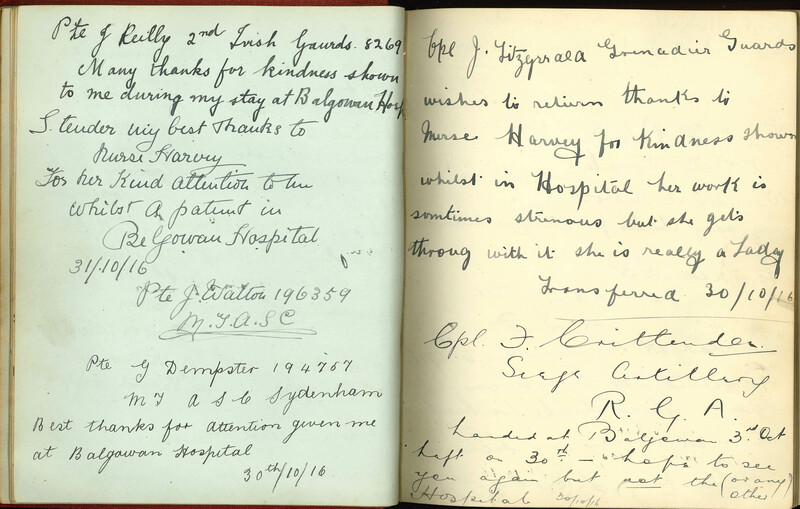 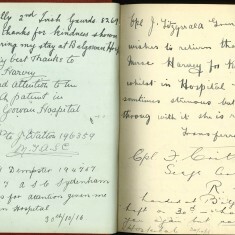 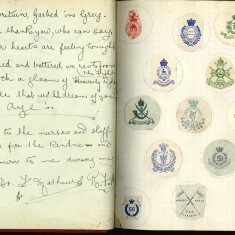 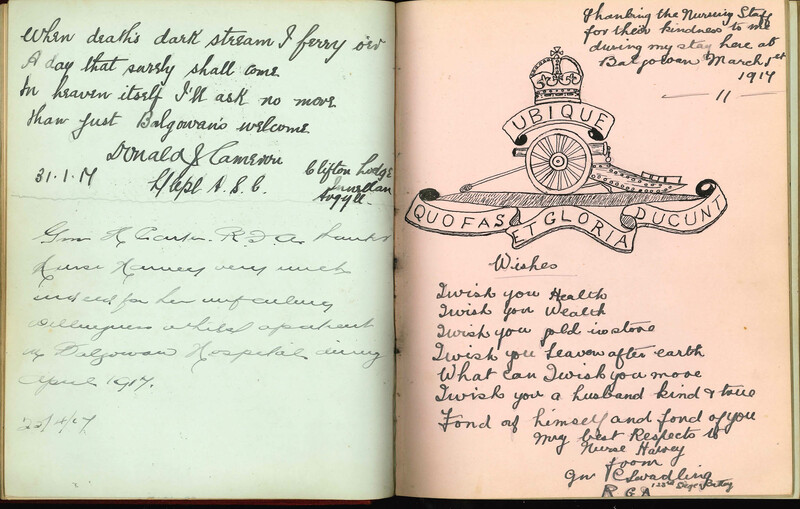 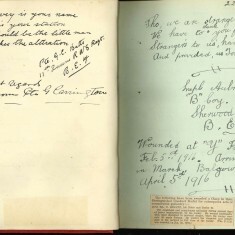 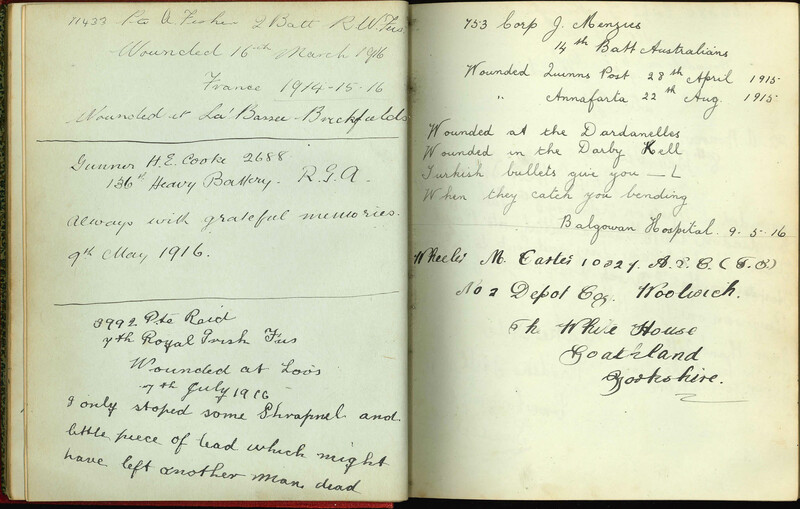 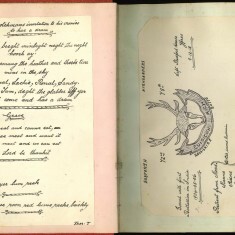 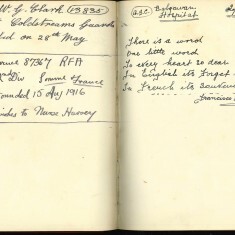 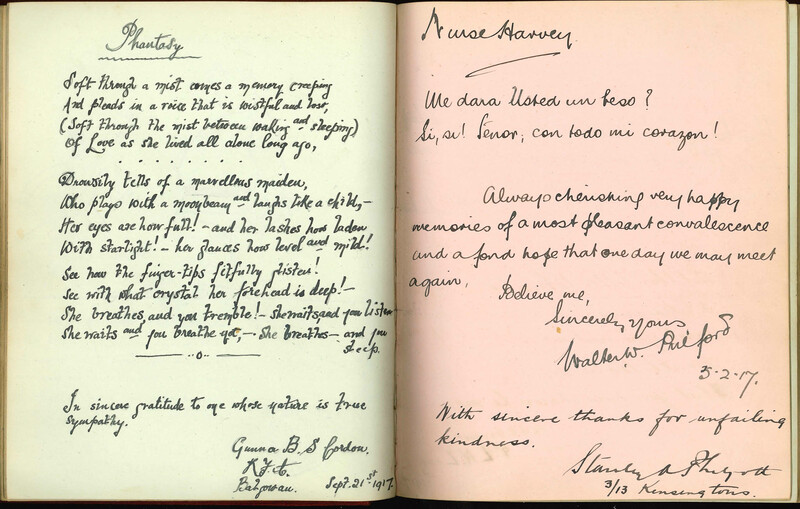 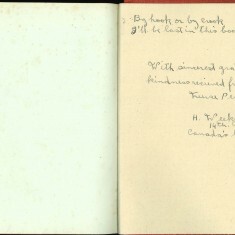 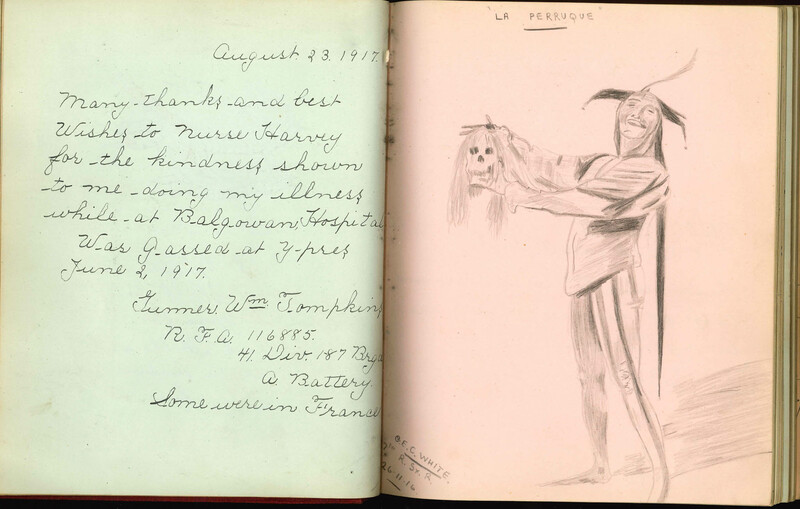 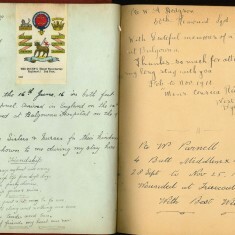 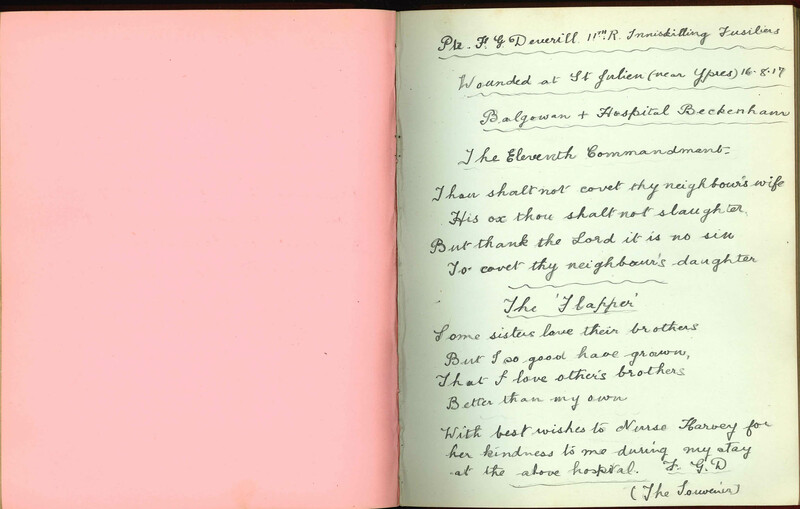 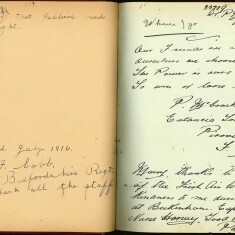 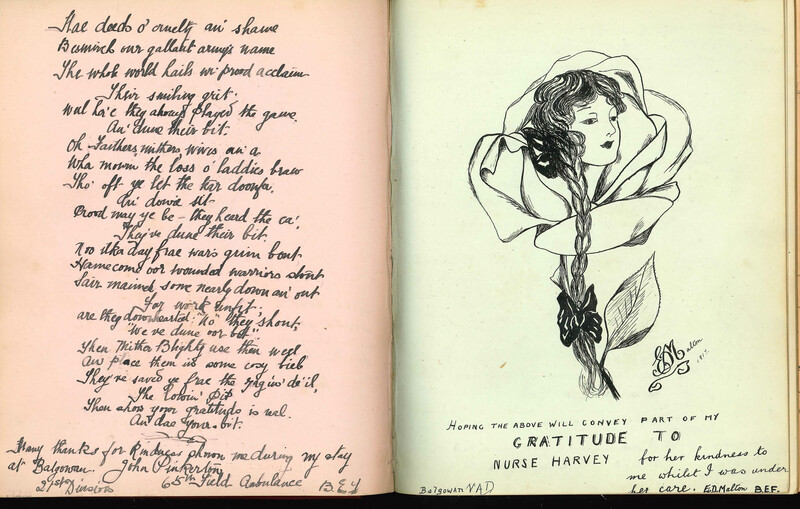 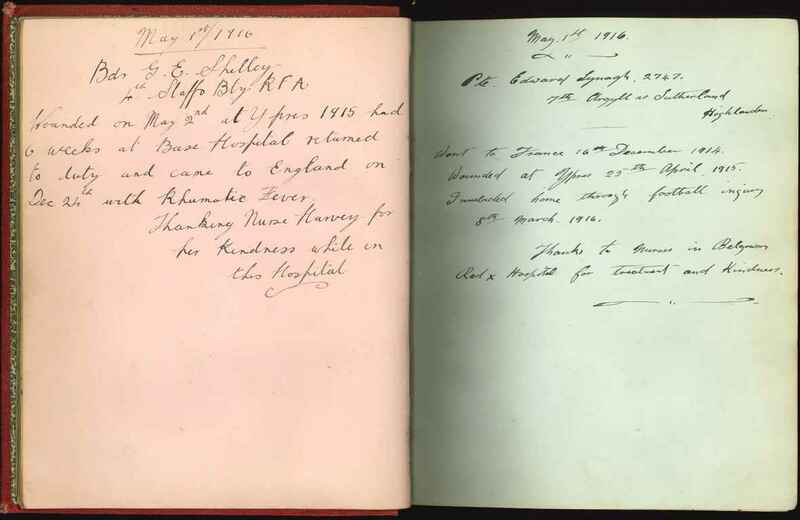 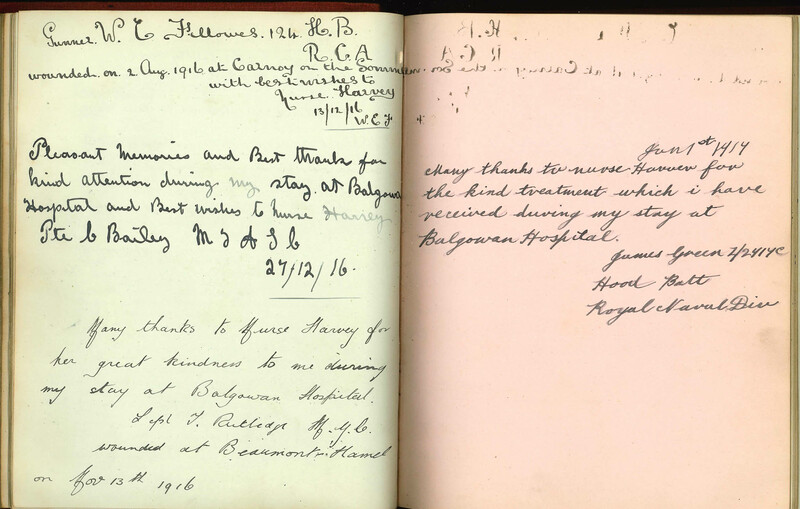 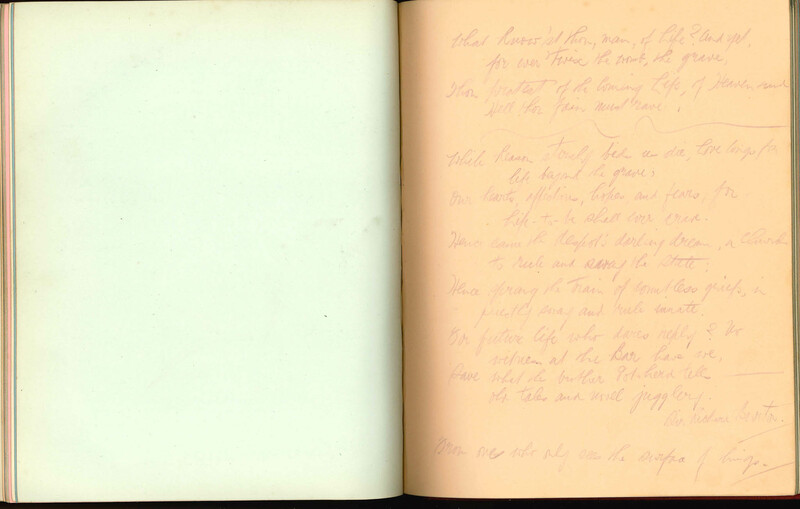 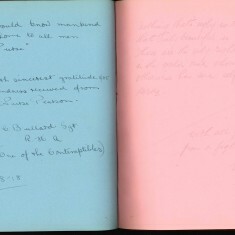 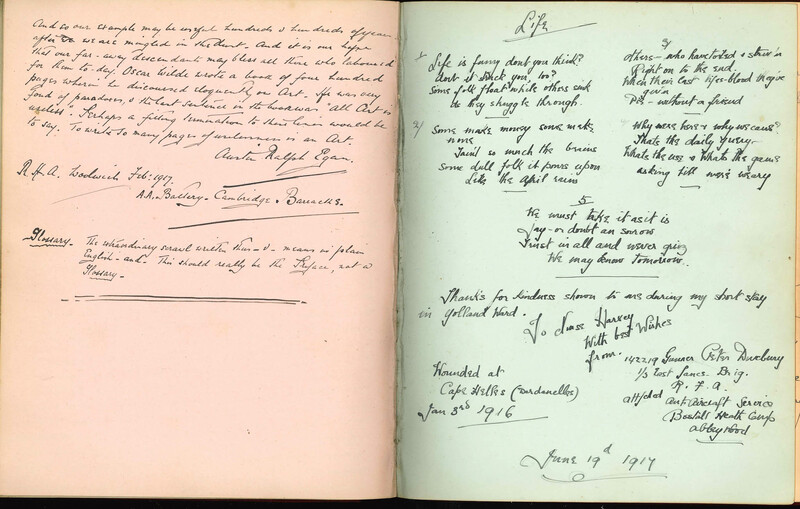 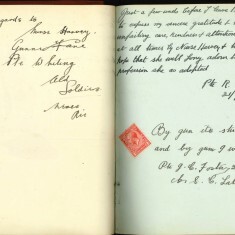 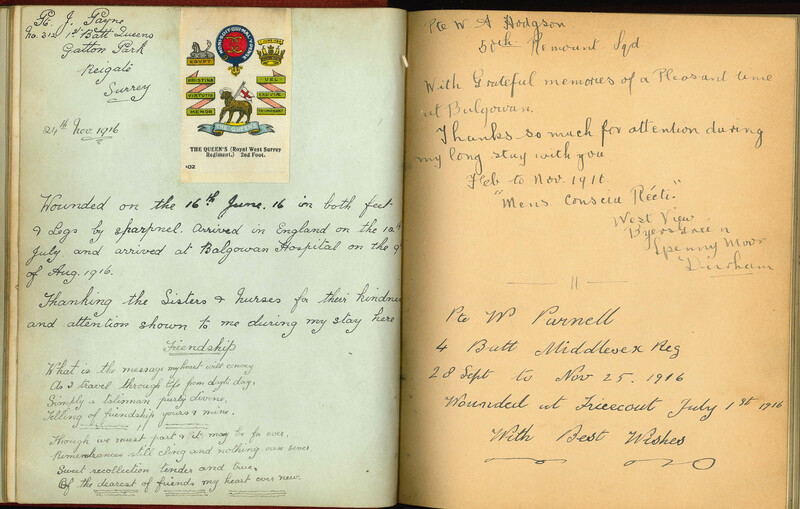 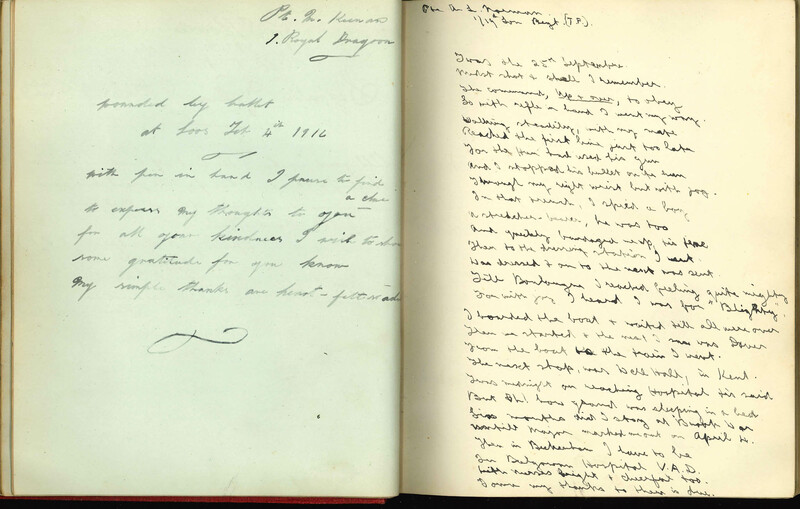 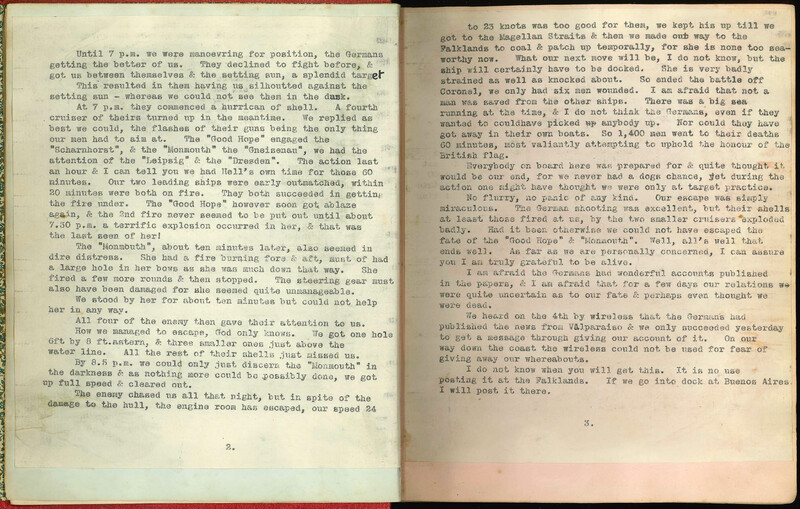 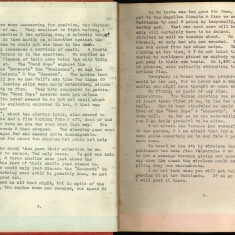 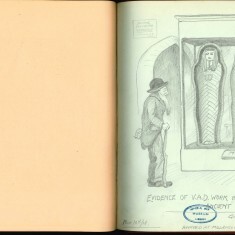 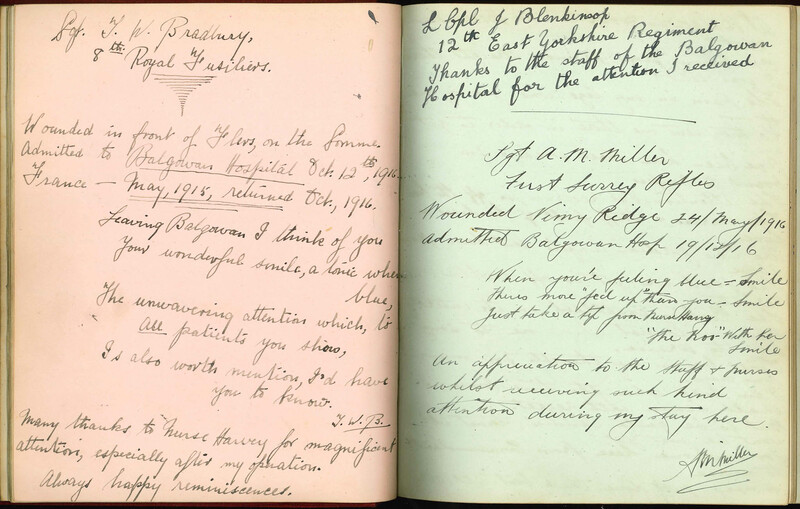 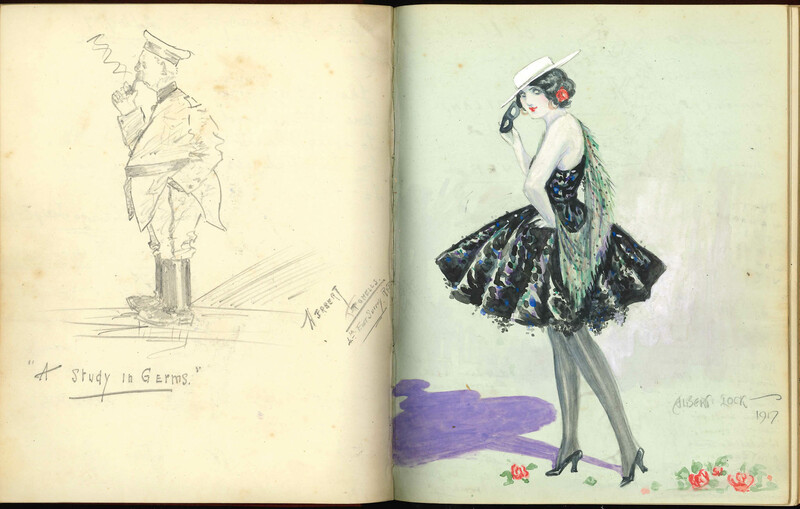 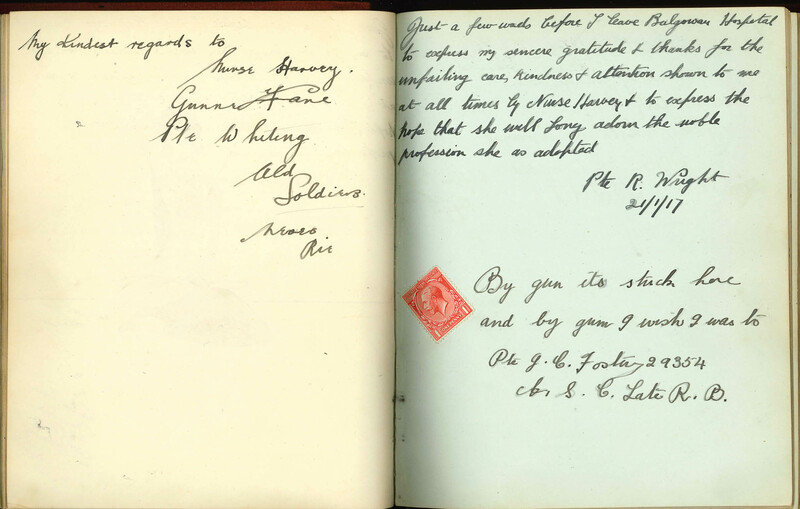 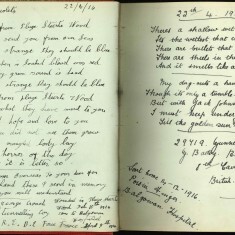 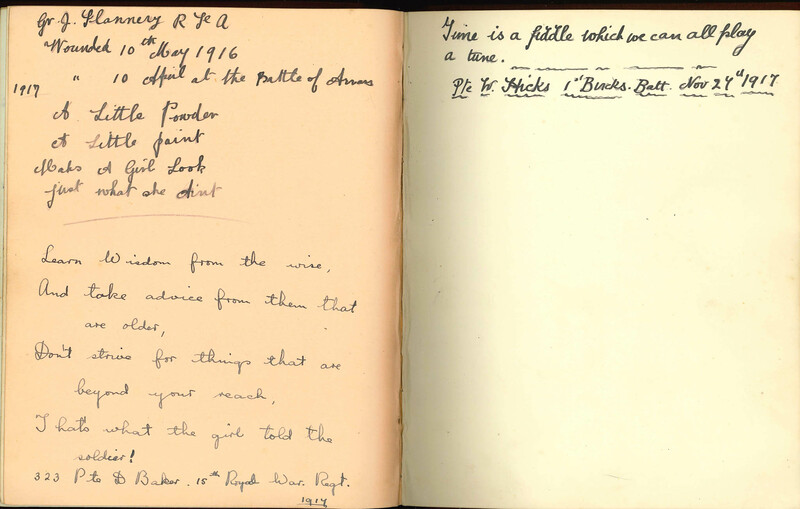 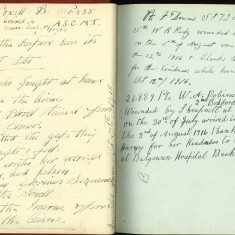 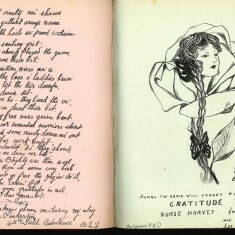 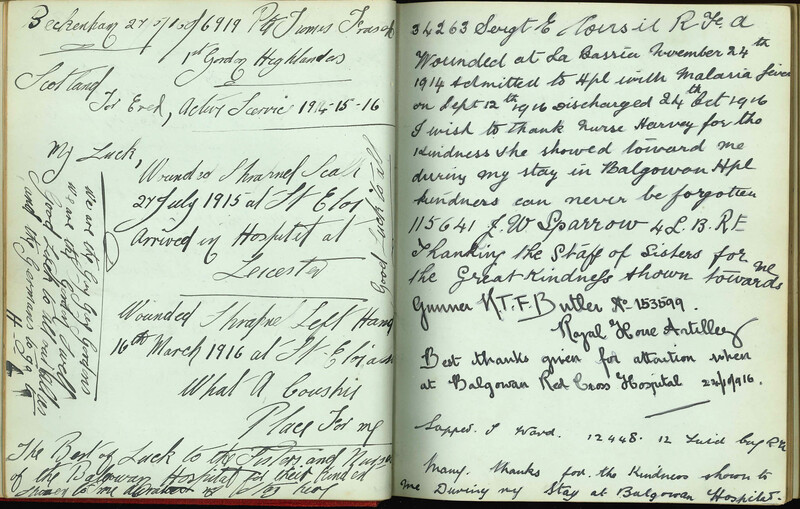 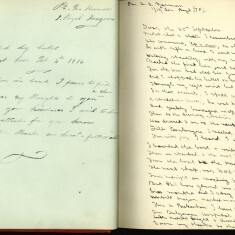 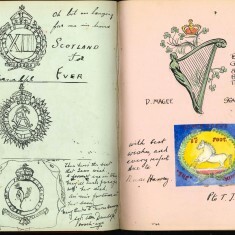 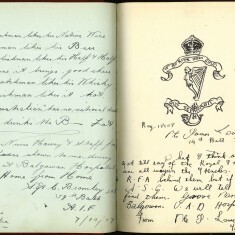 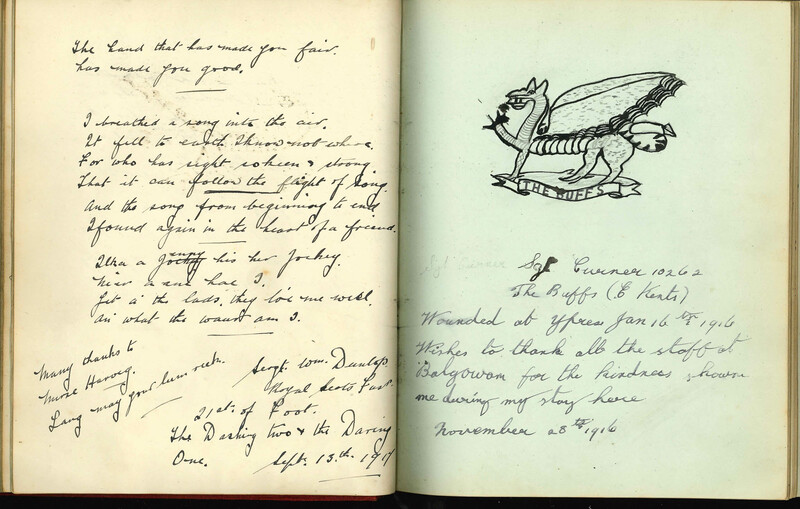 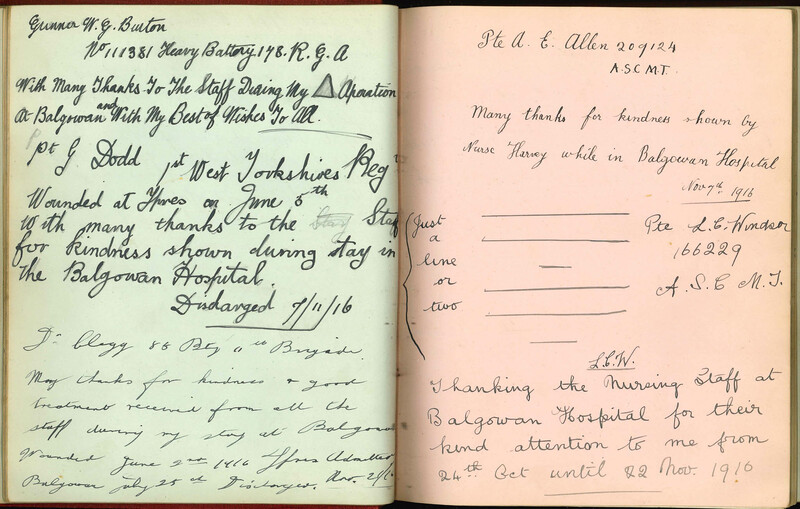 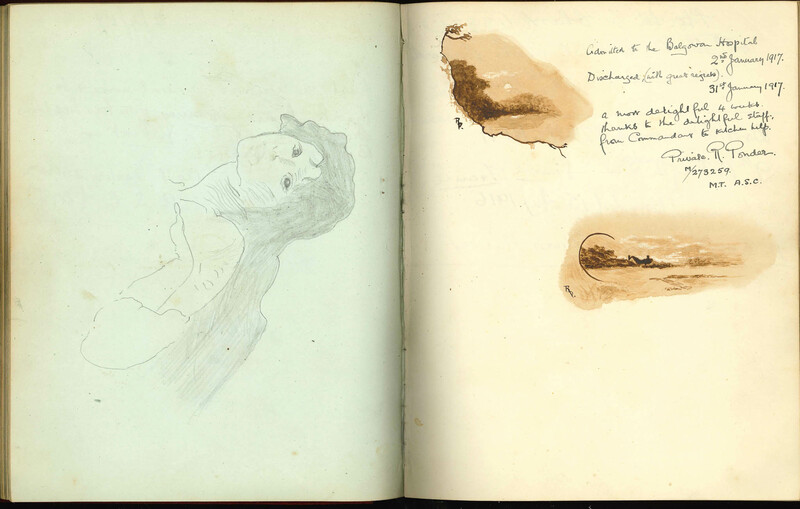 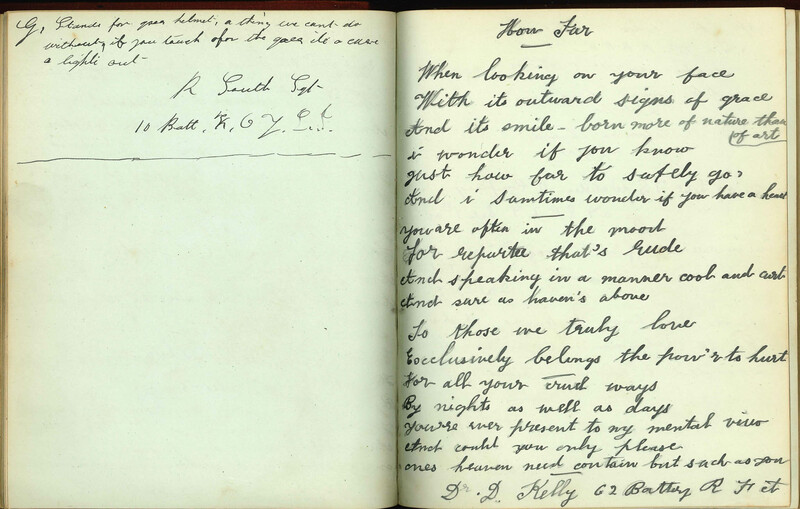 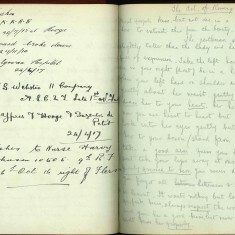 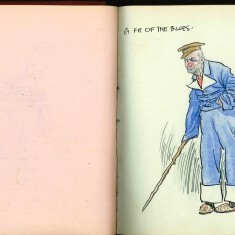 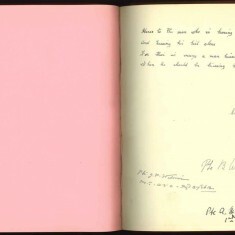 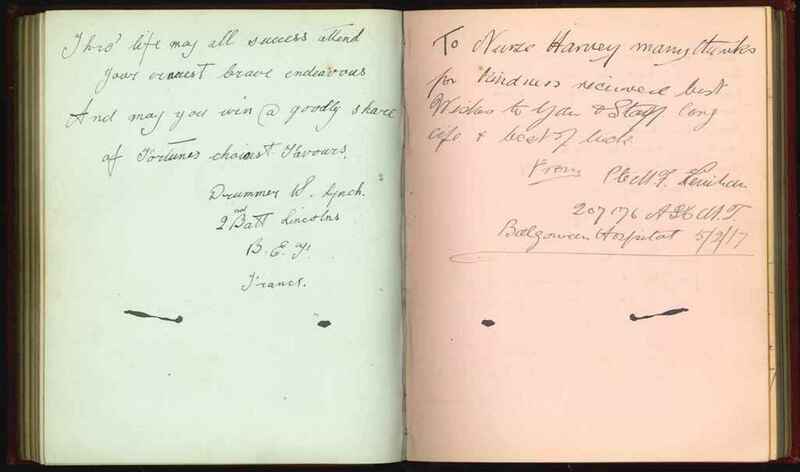 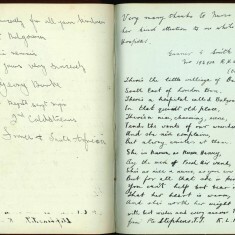 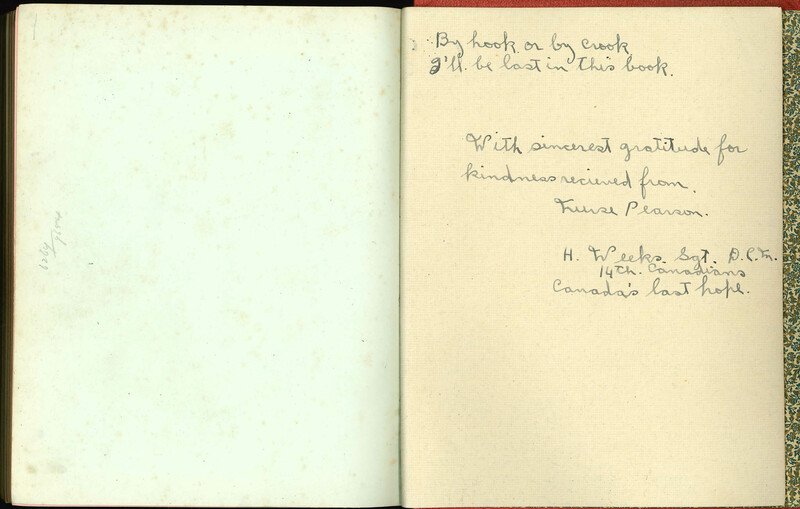 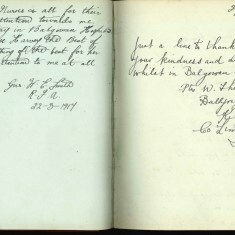 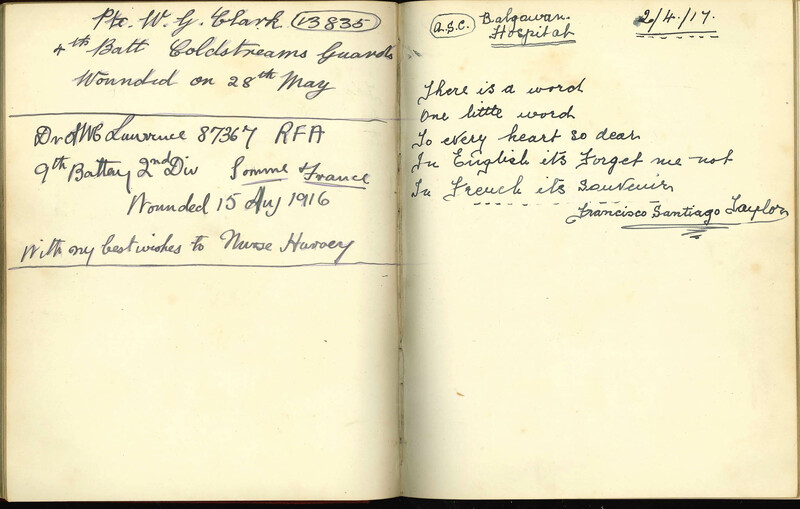 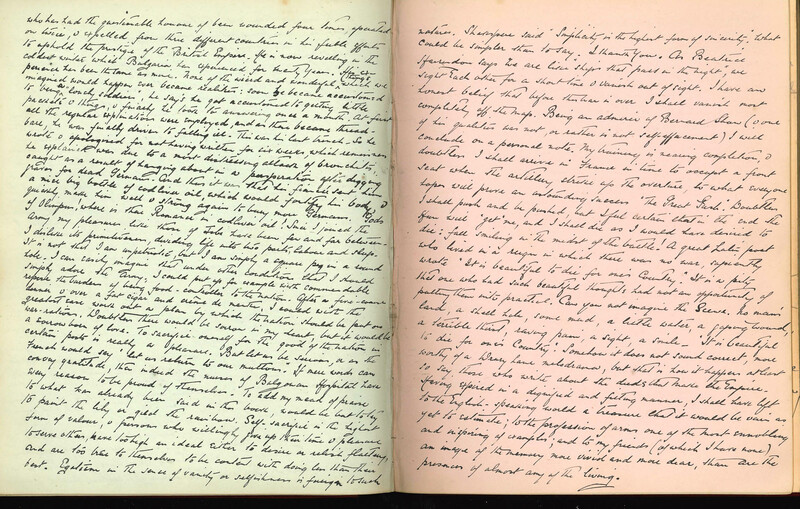 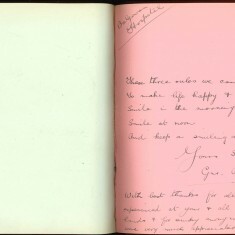 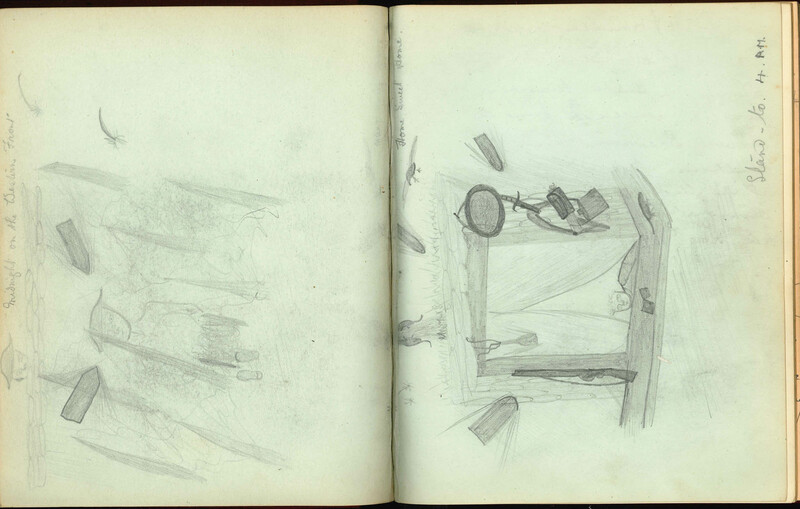 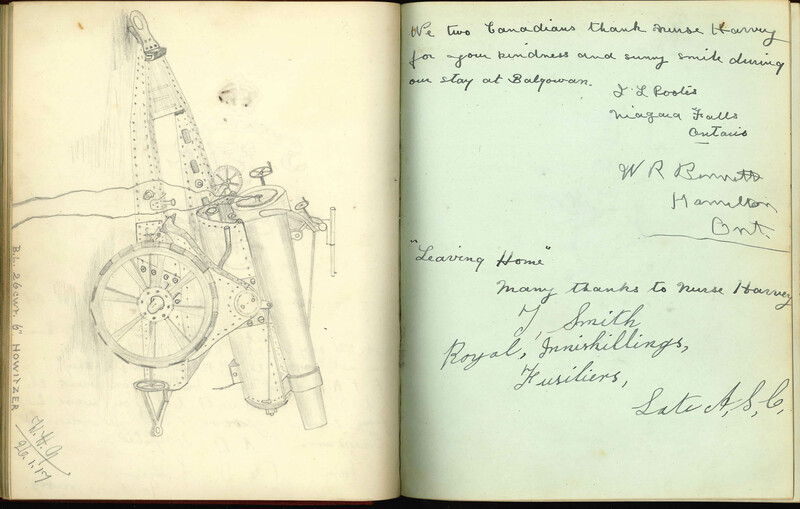 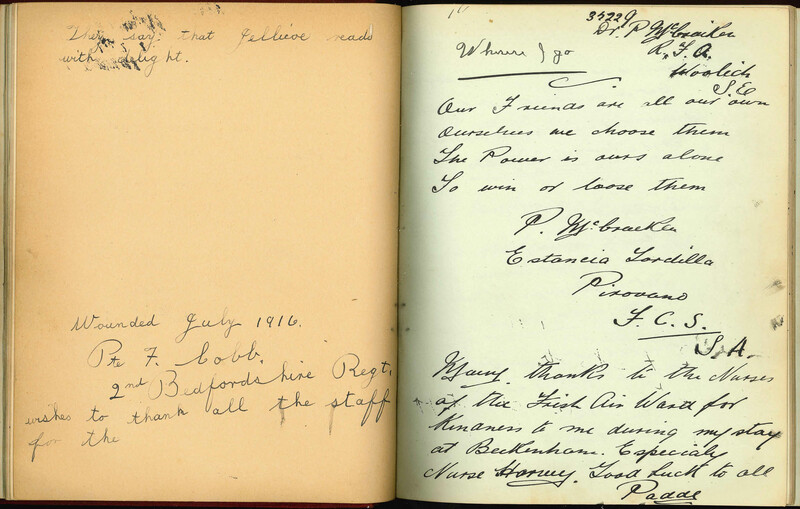 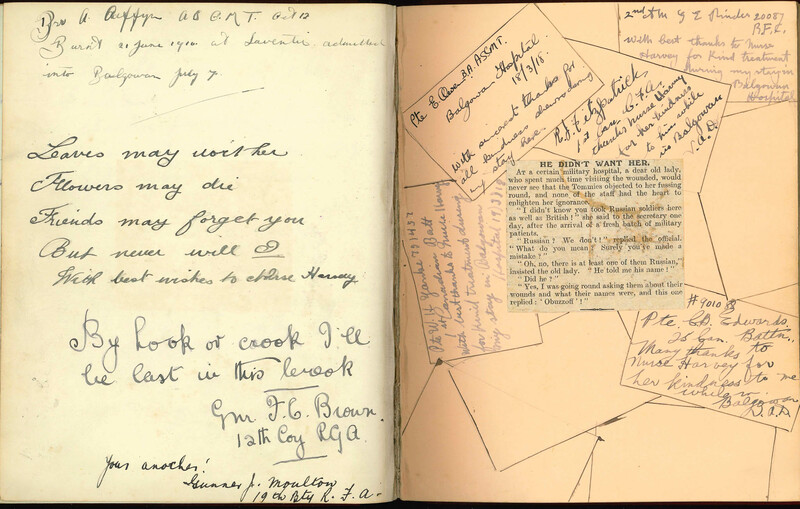 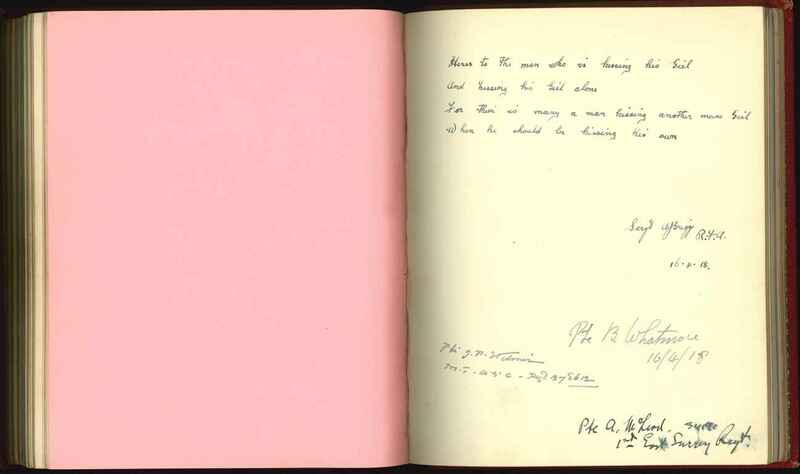 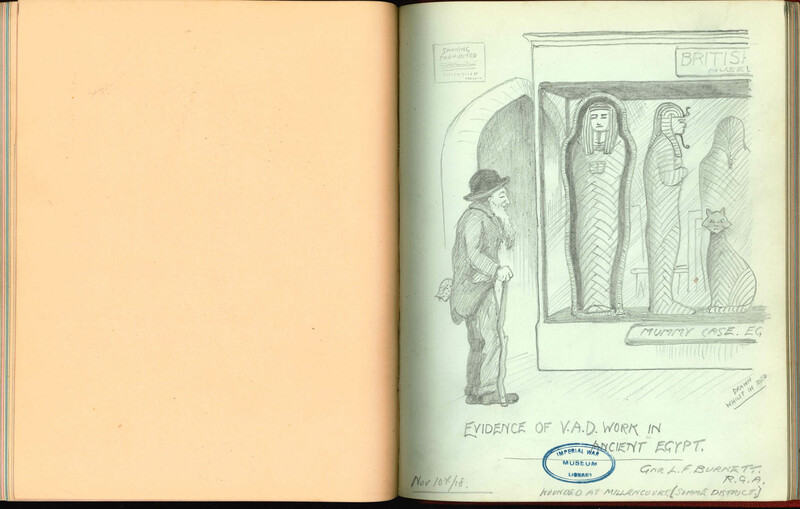 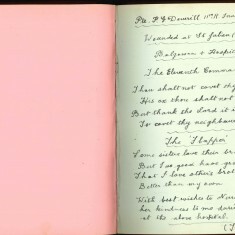 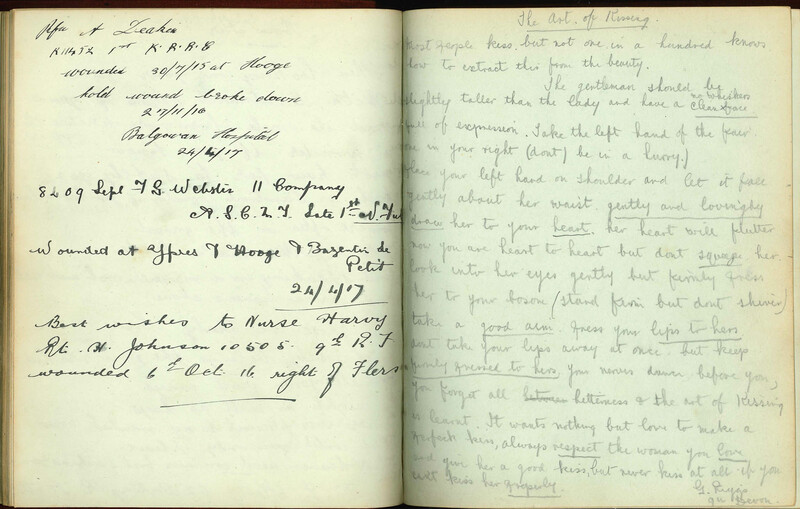 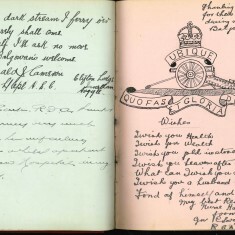 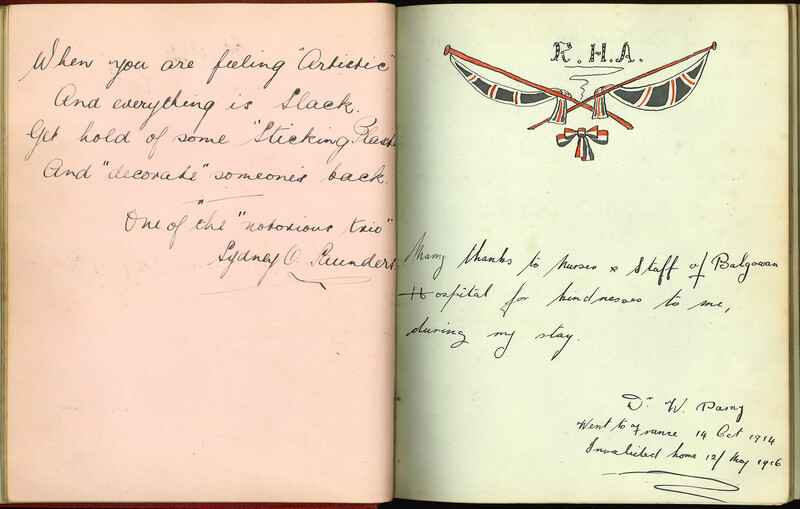 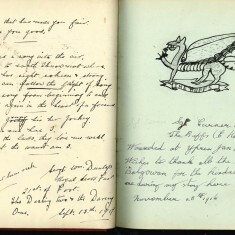 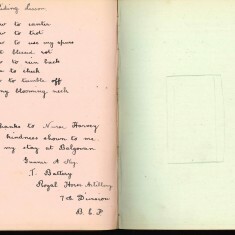 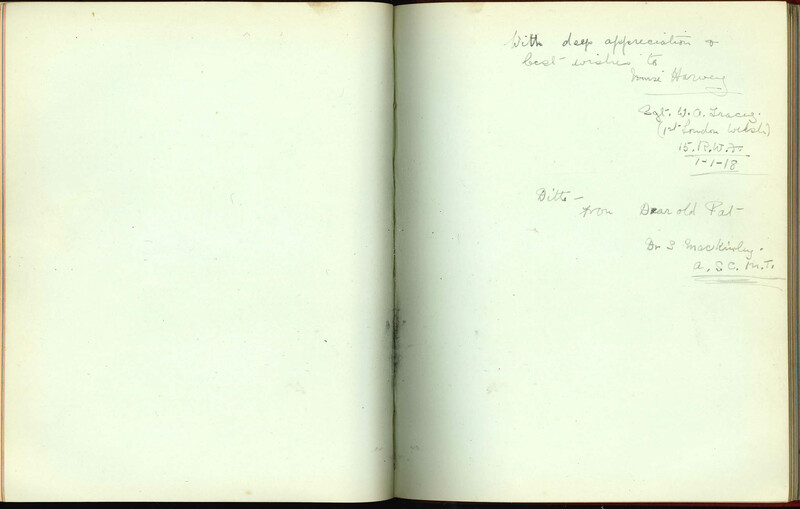 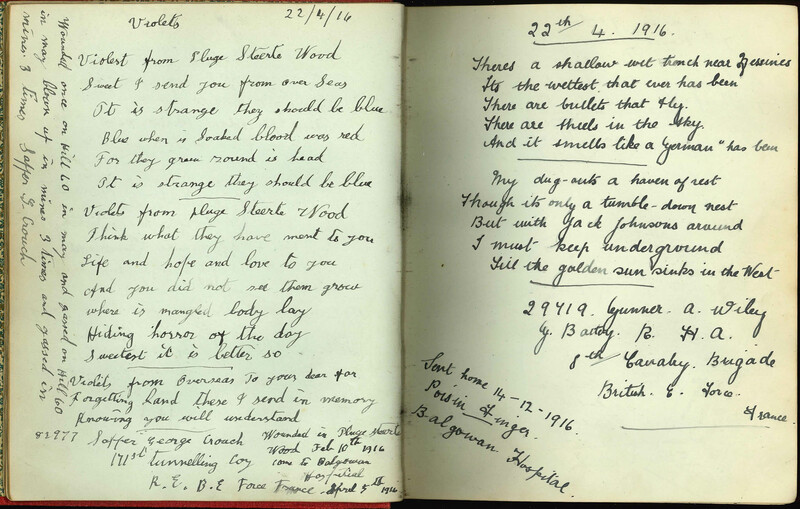 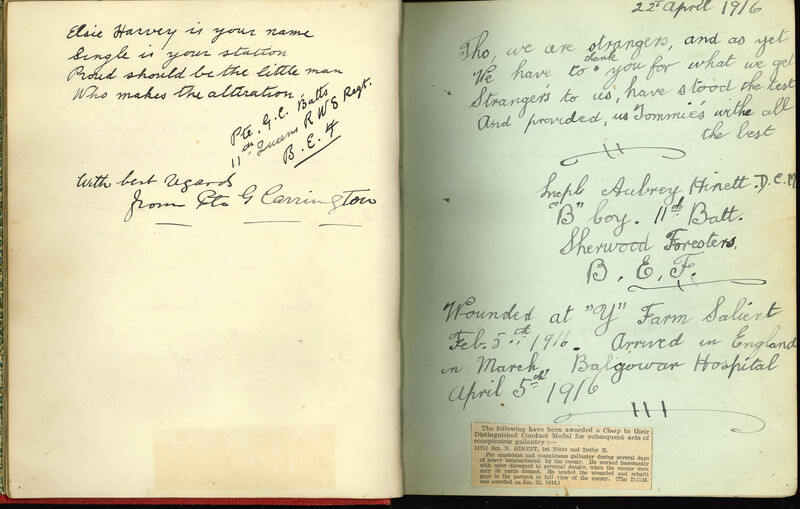 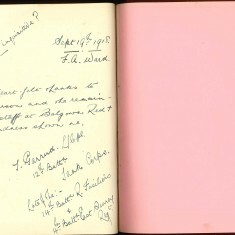 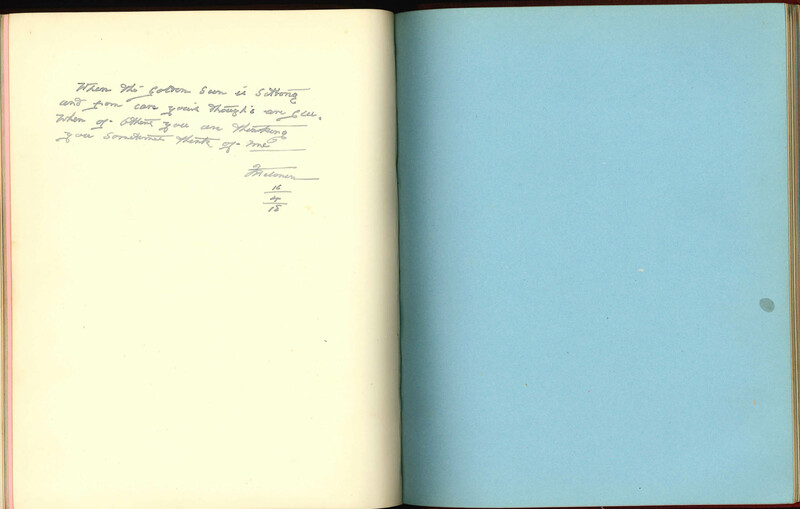 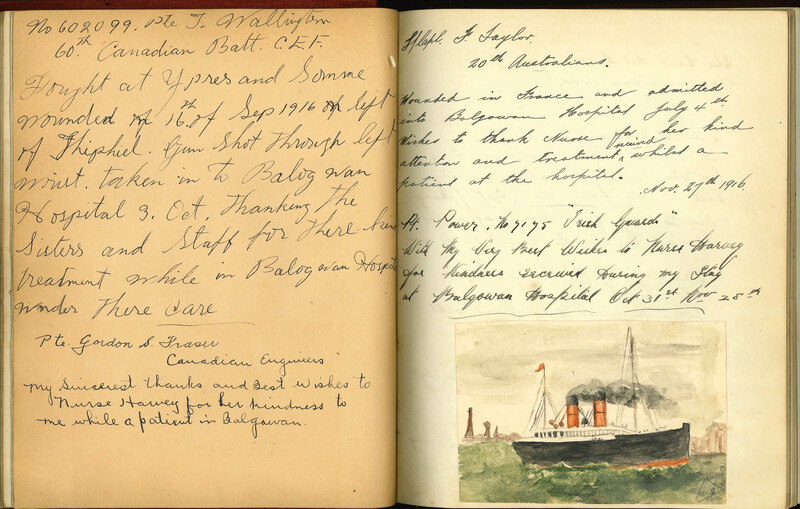 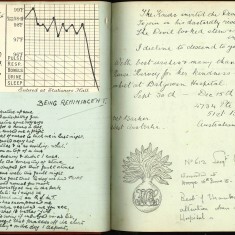 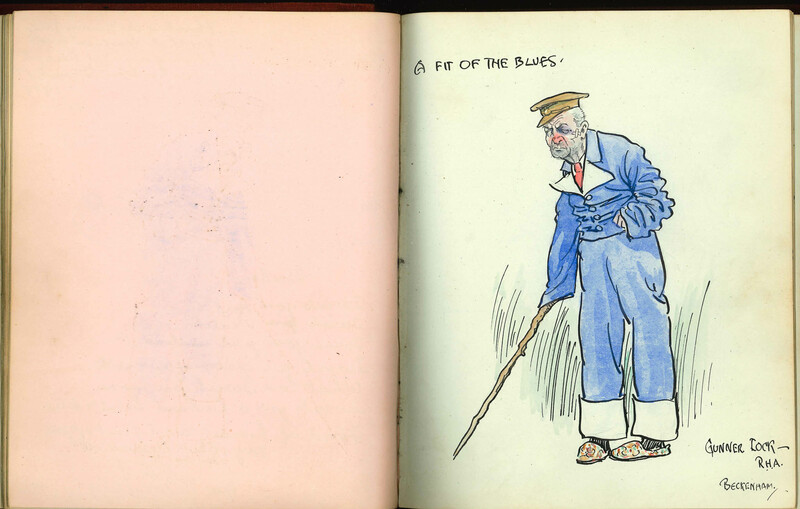 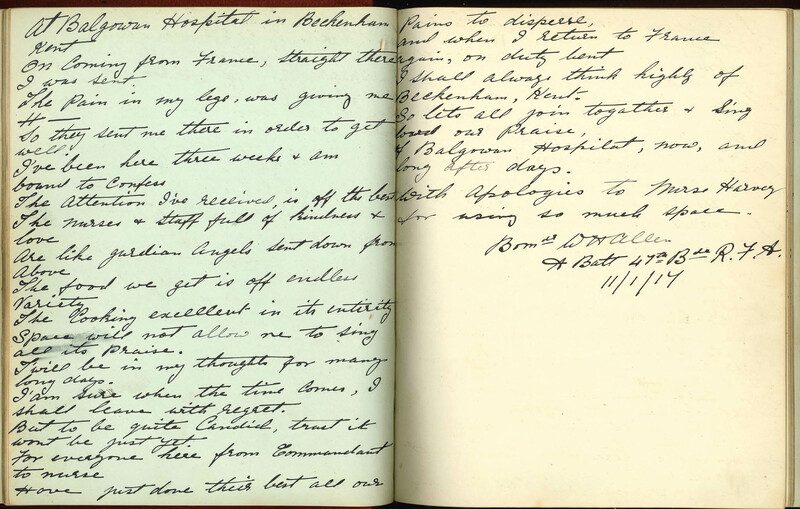 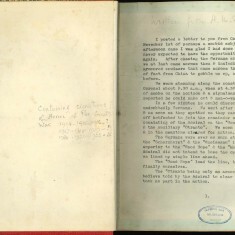 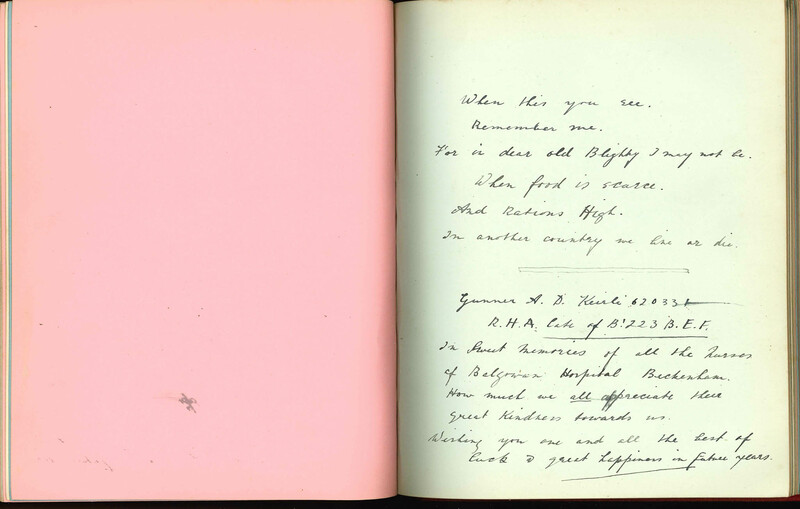 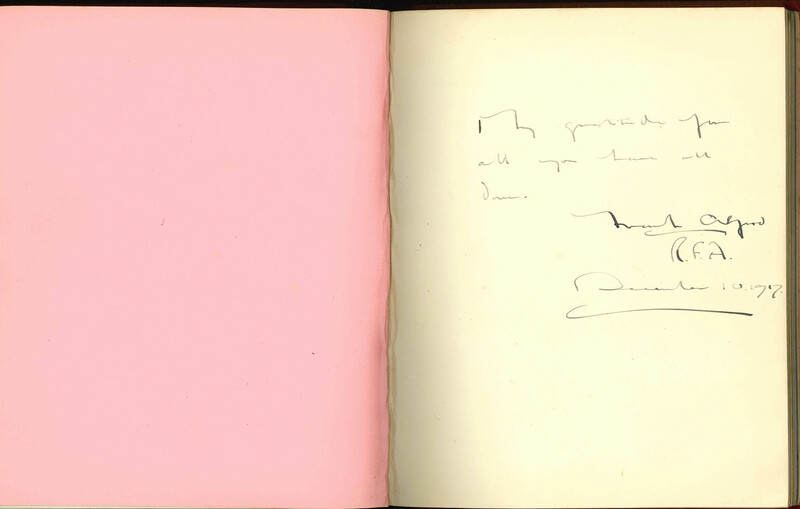 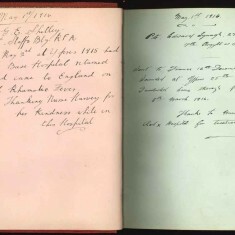 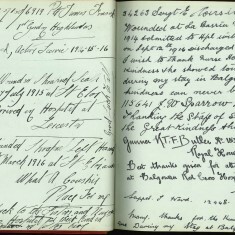 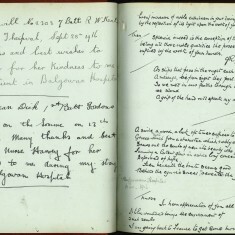 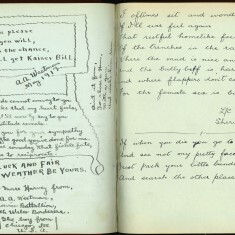 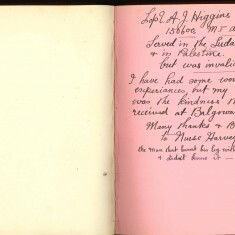 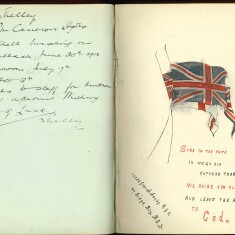 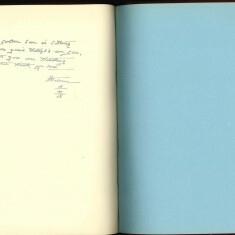 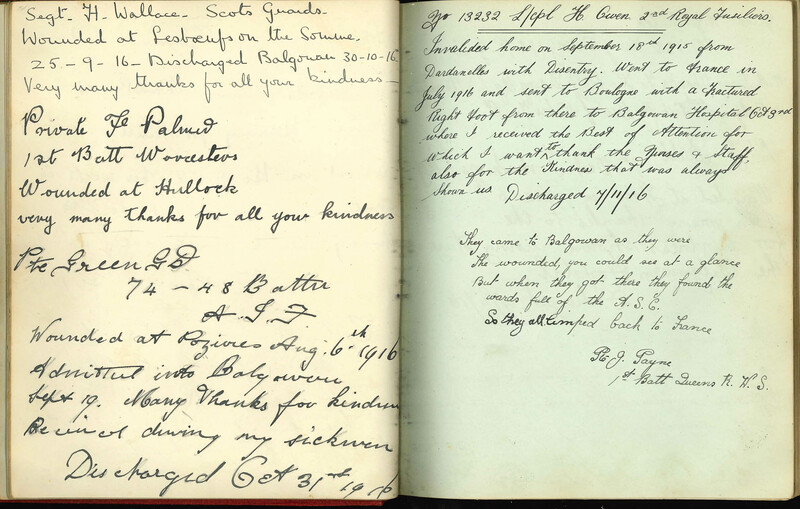 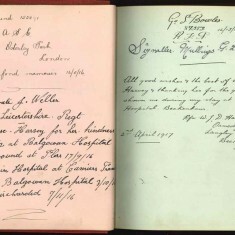 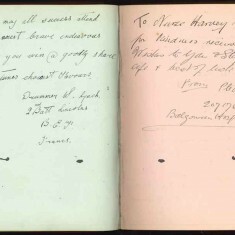 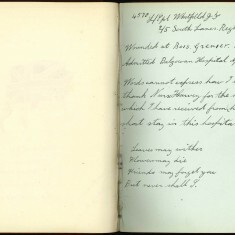 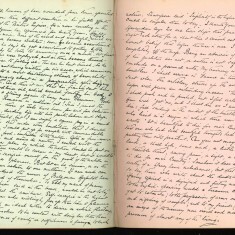 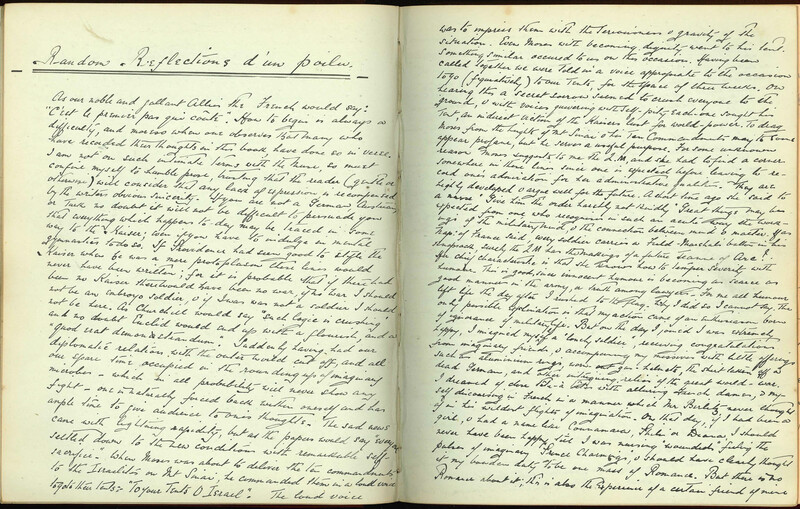 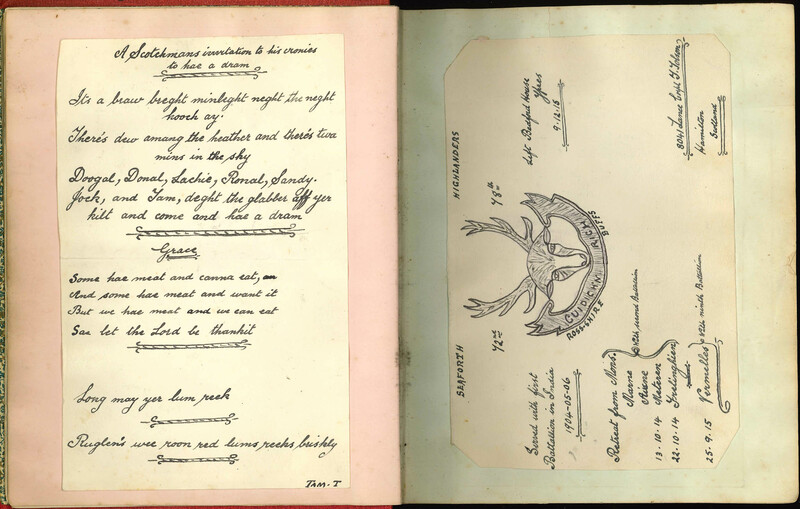 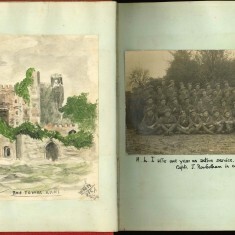 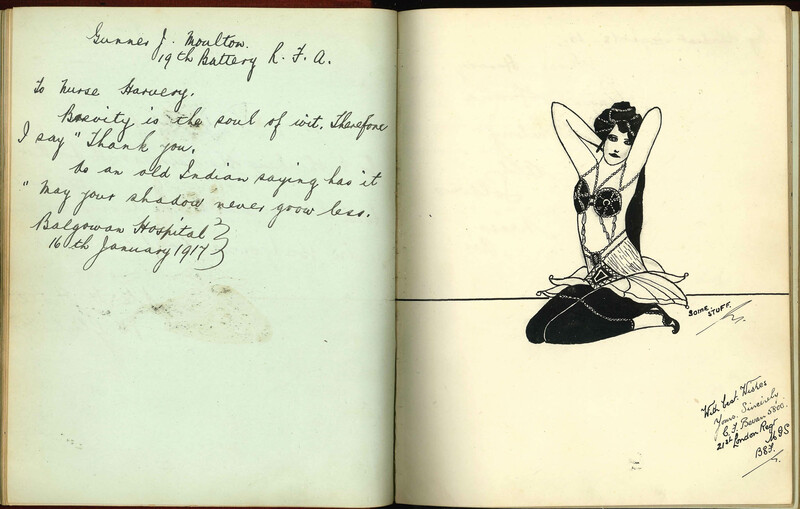 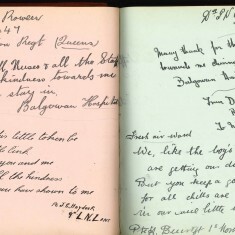 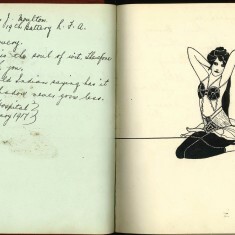 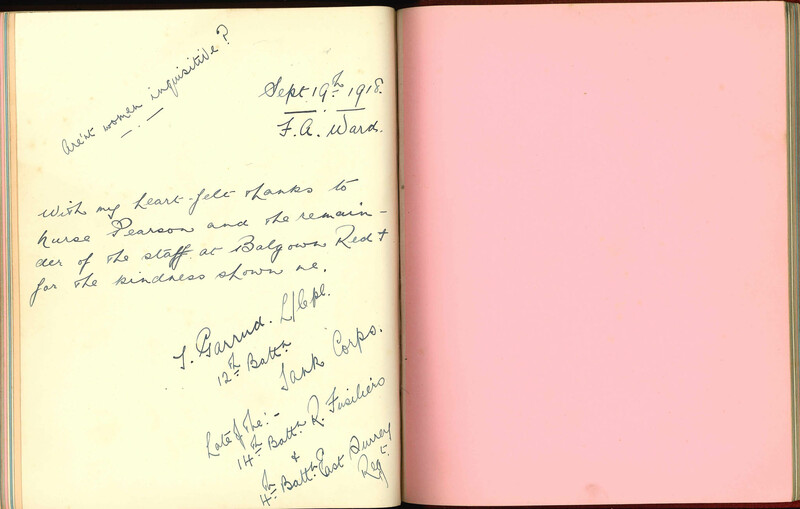 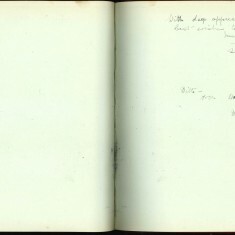 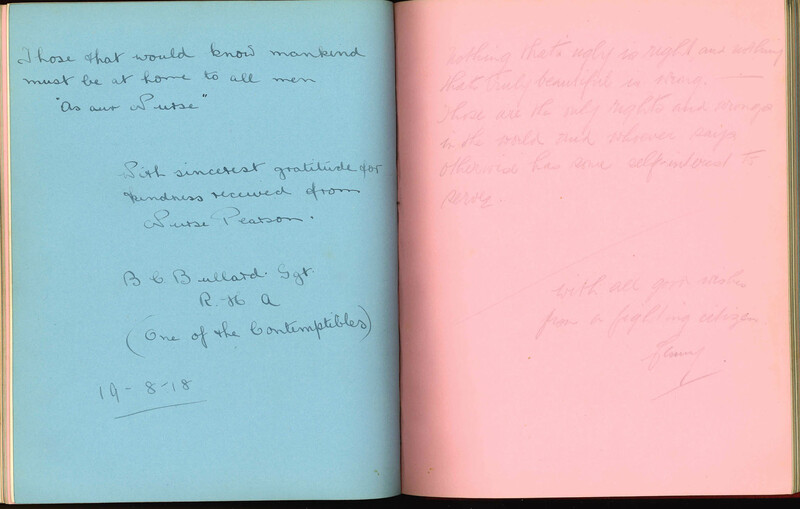 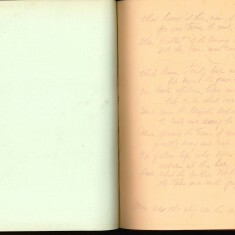 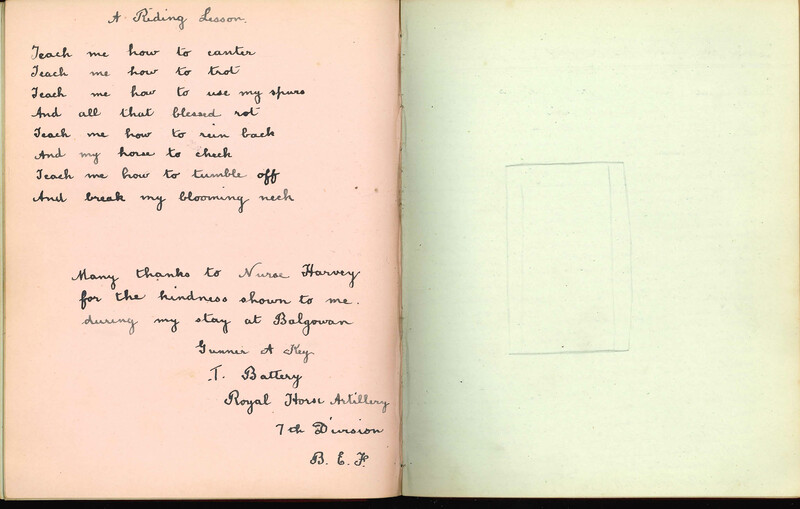 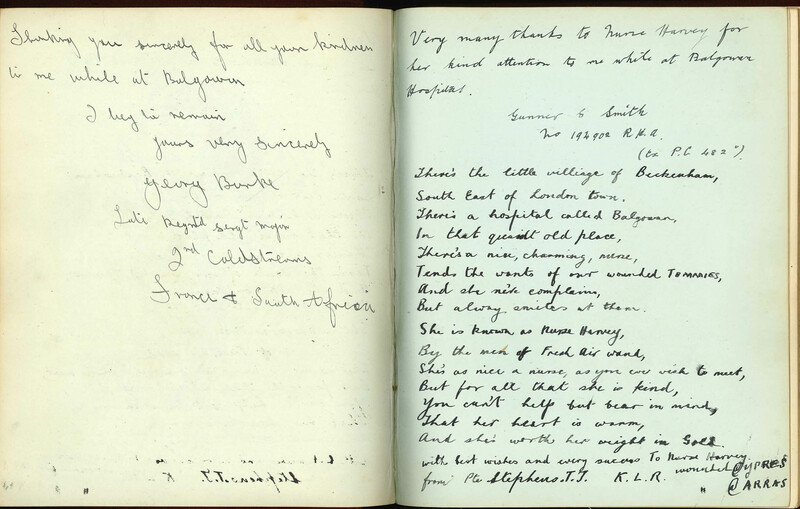 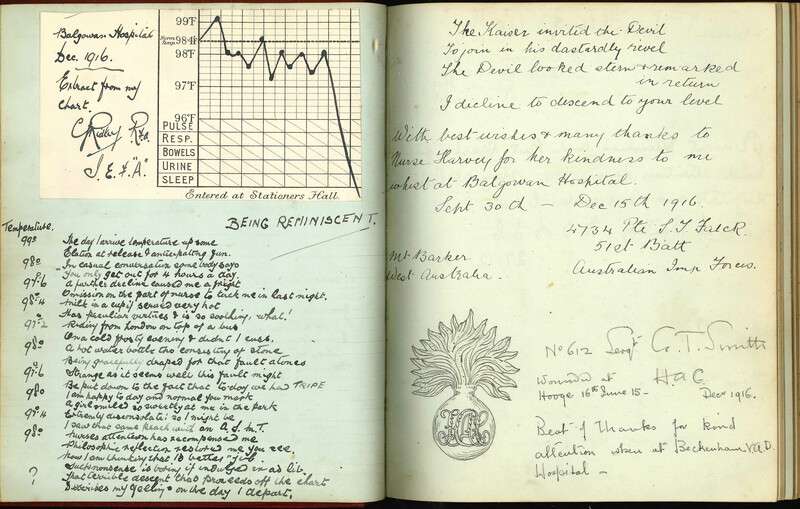 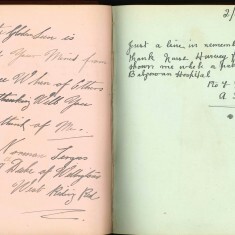 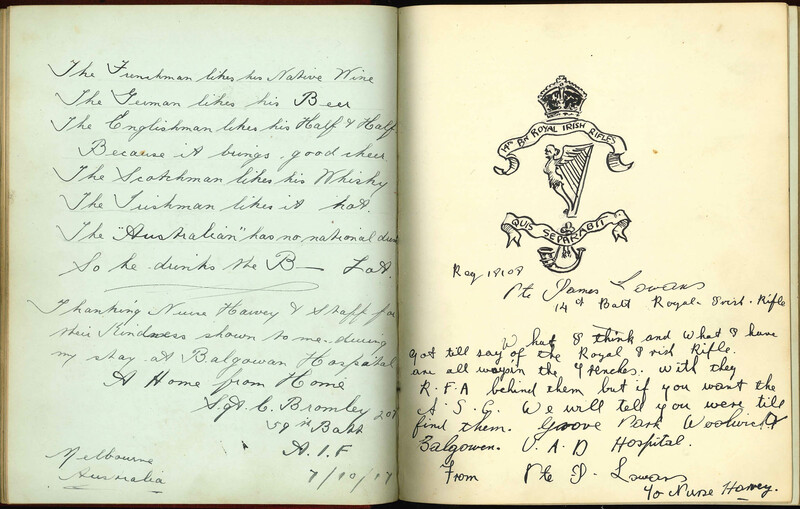 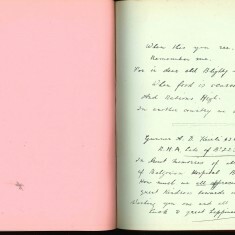 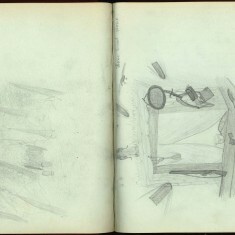 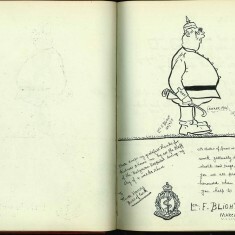 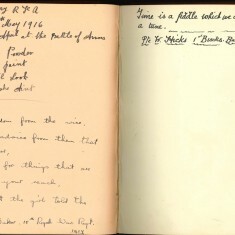 The album contains drawings, signatures, published and original verse in the form of contributions from the servicemen on her ward, most of whom had been wounded on the Western Front, 1916 – 1918. 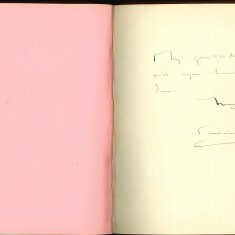 More information about the individuals who signed the autograph album can be found on this website. 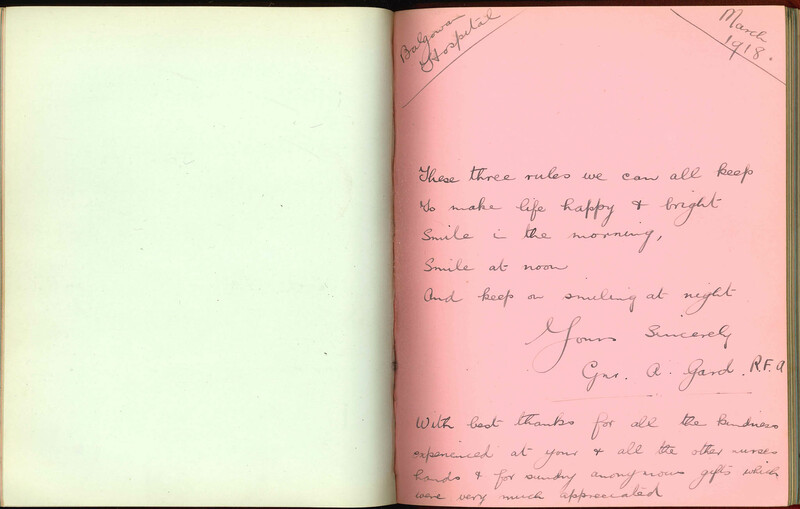 This page was added by Ian Grant on 26/06/2014.